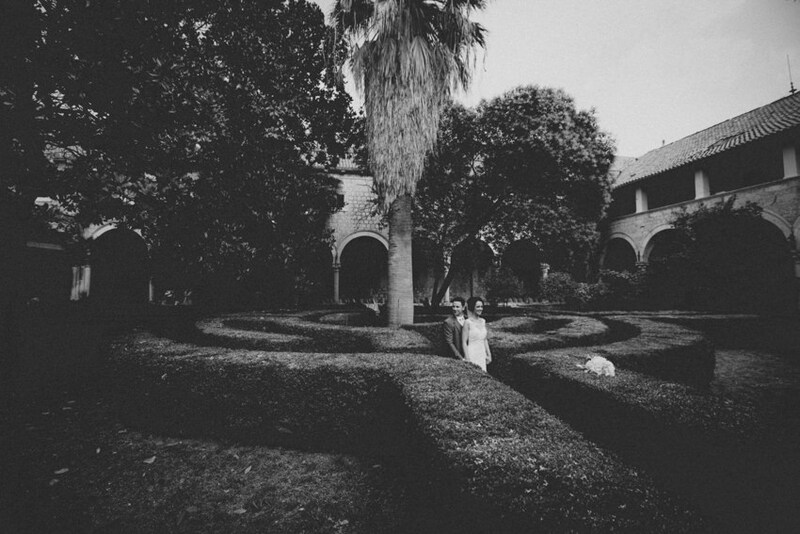 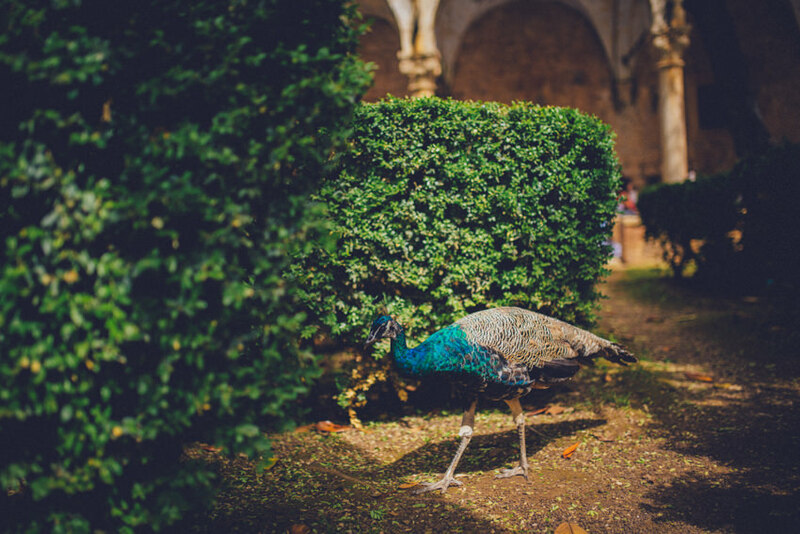 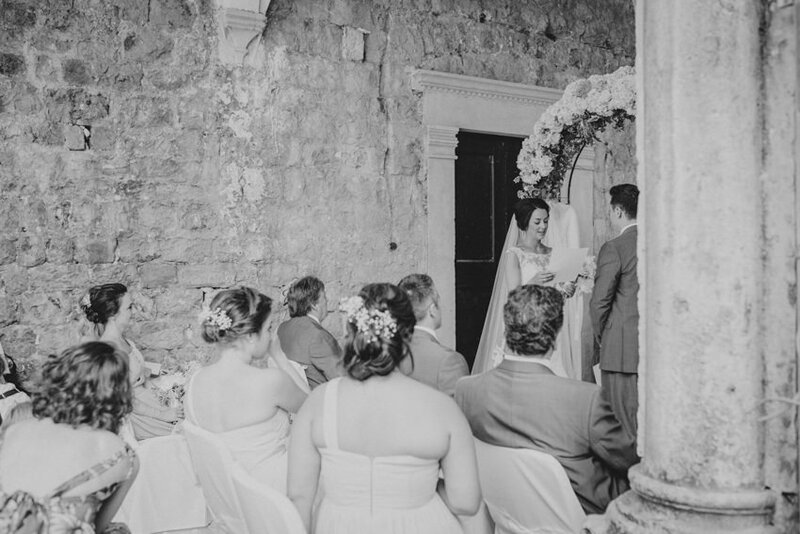 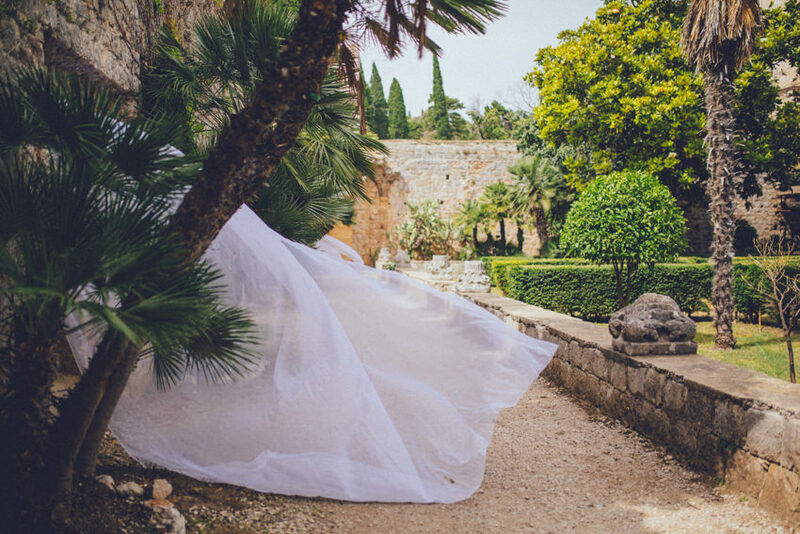 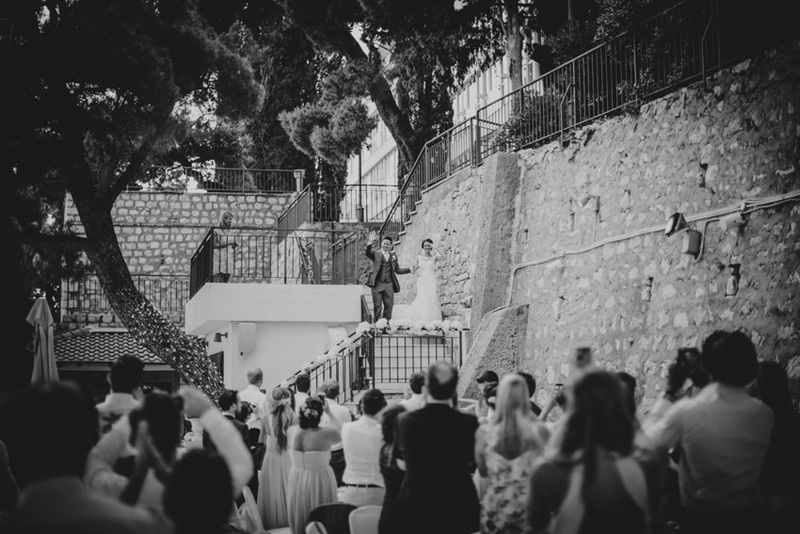 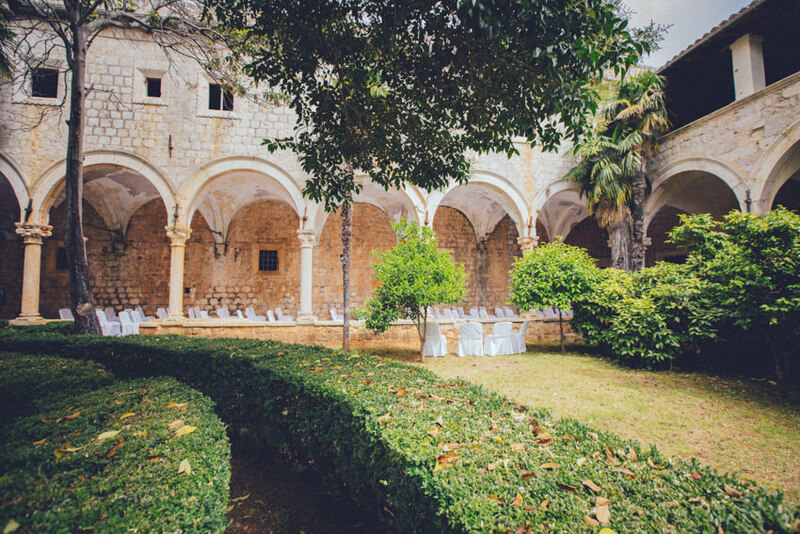 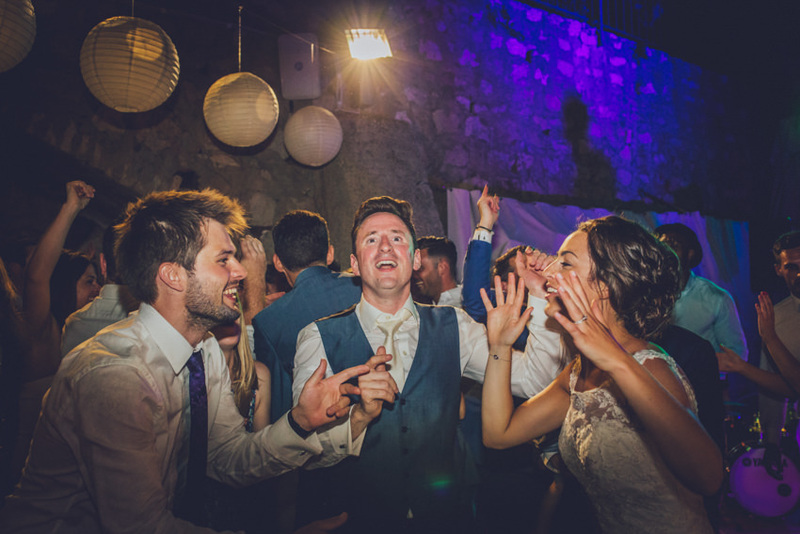 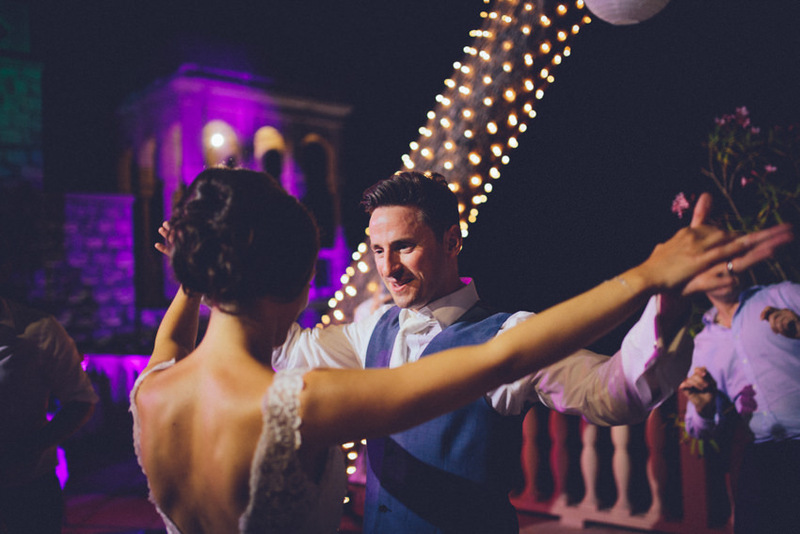 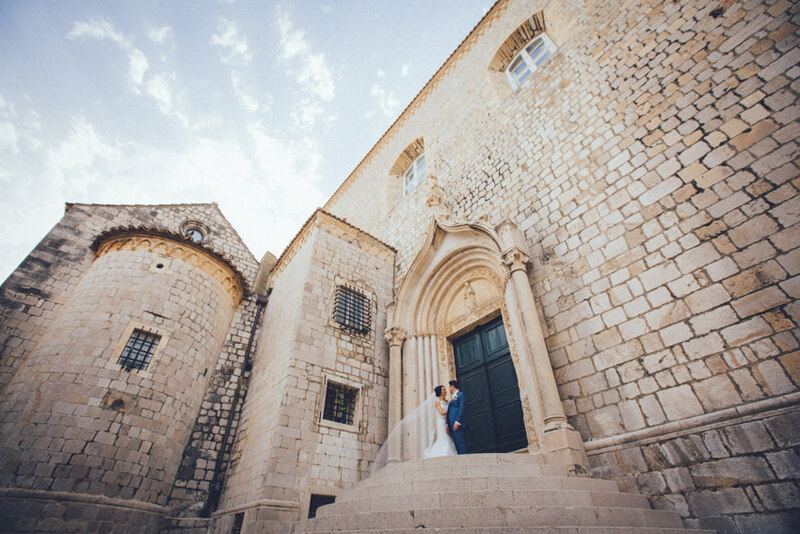 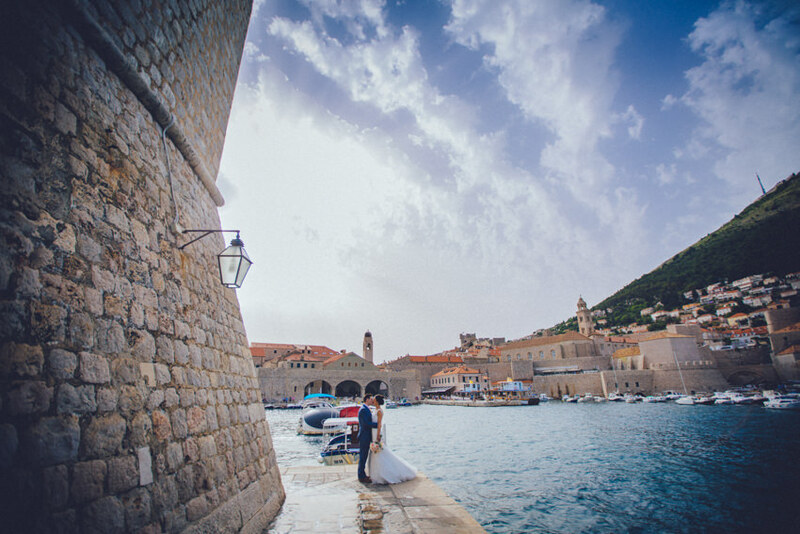 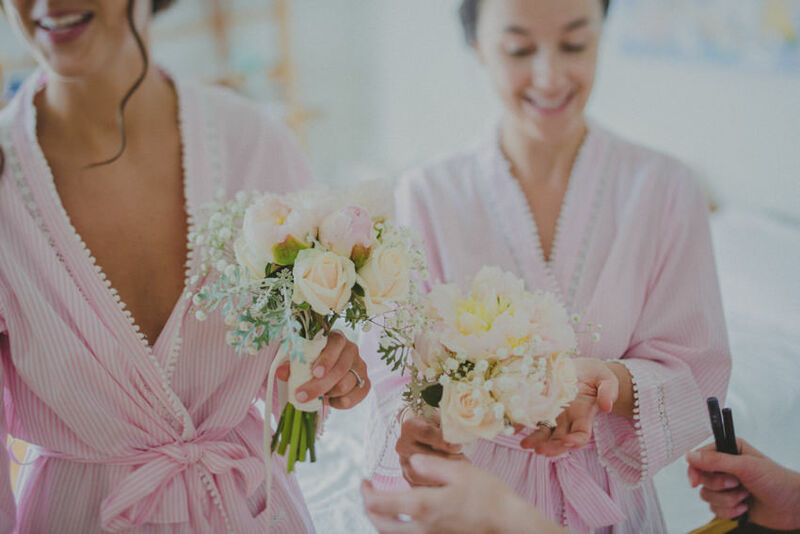 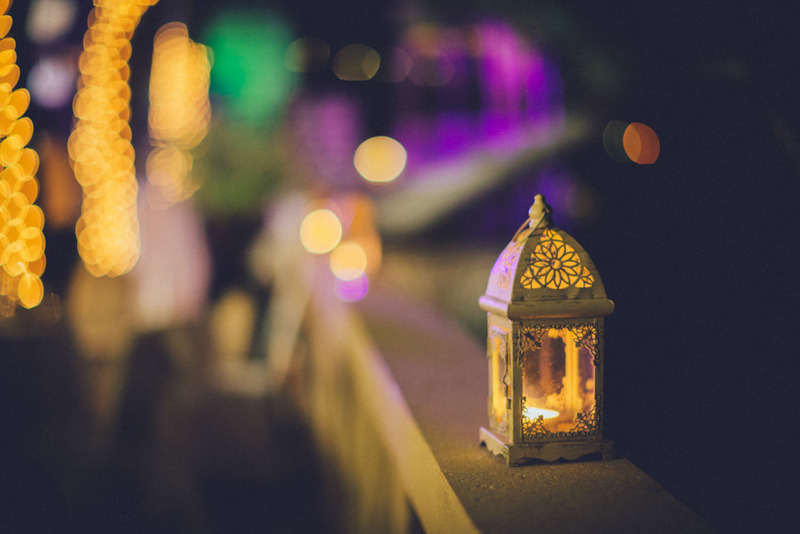 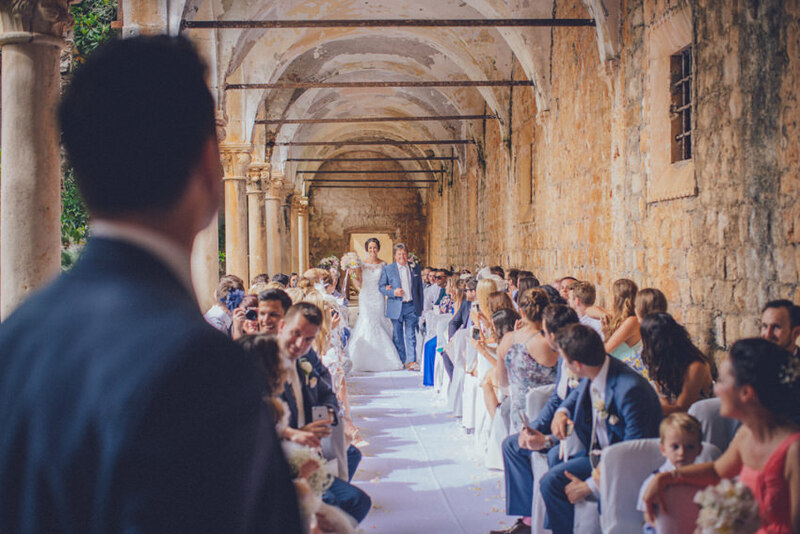 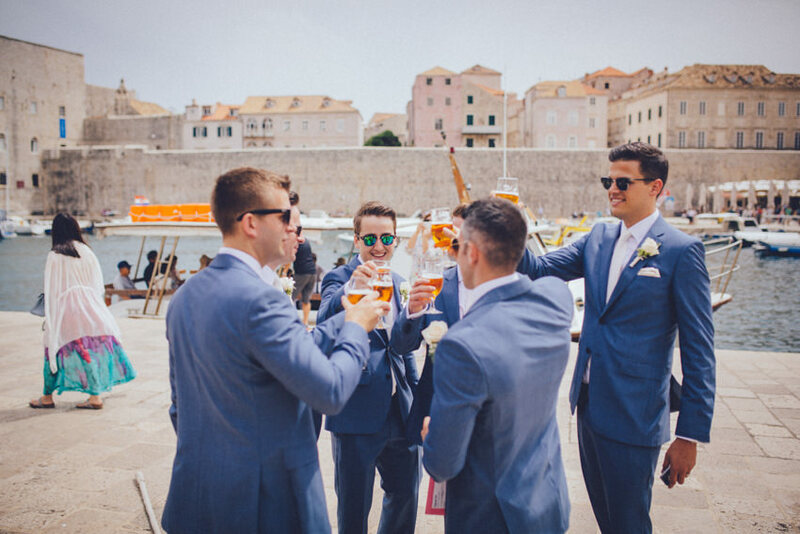 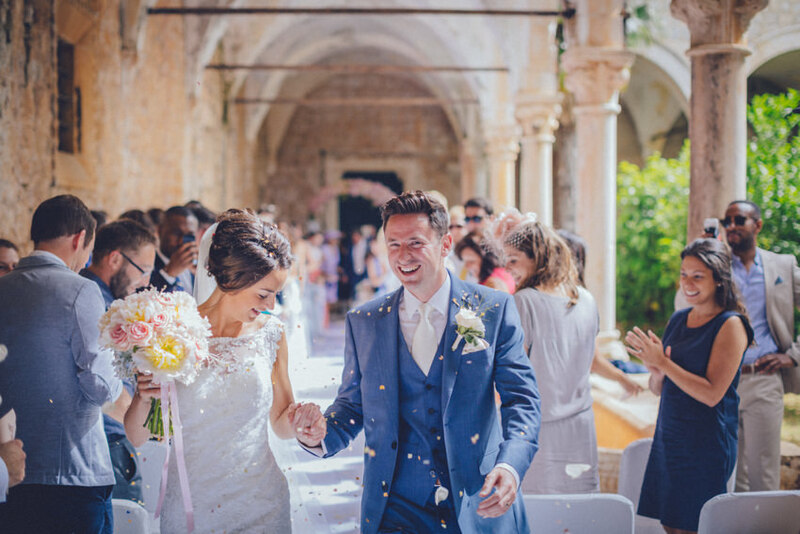 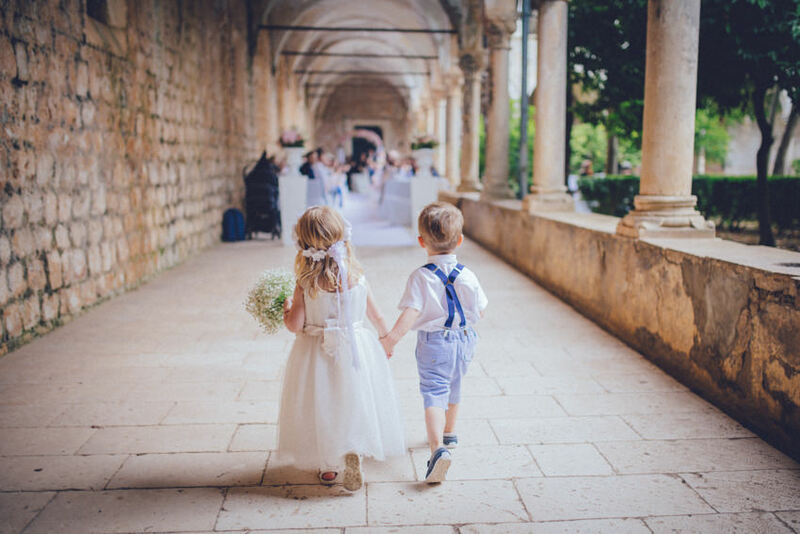 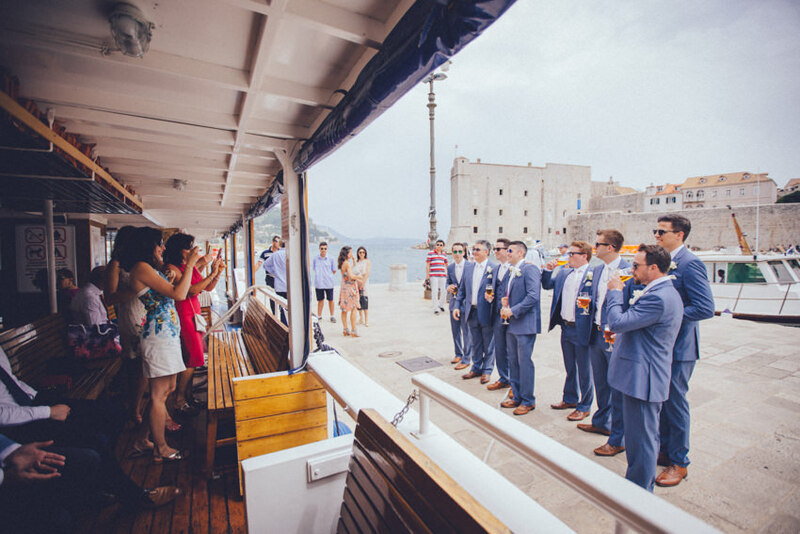 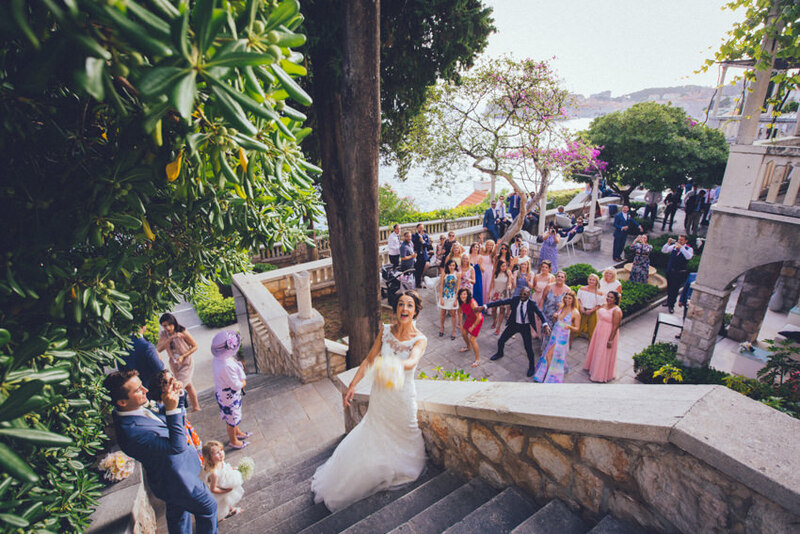 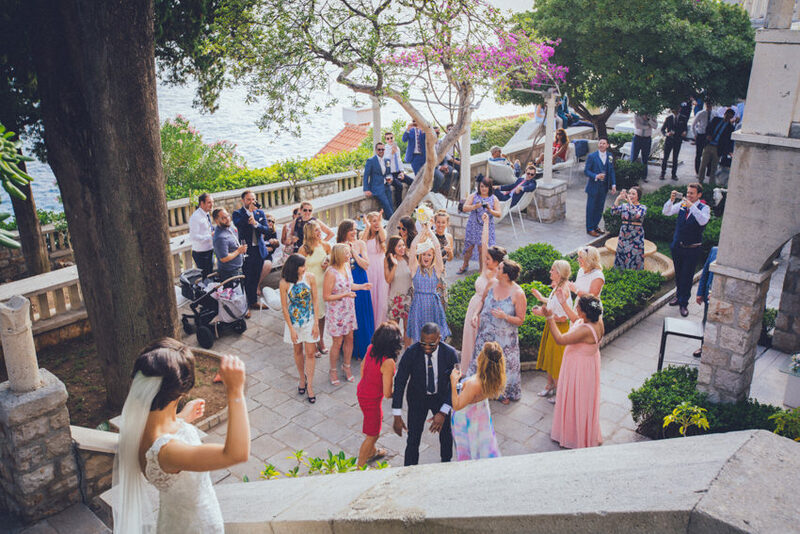 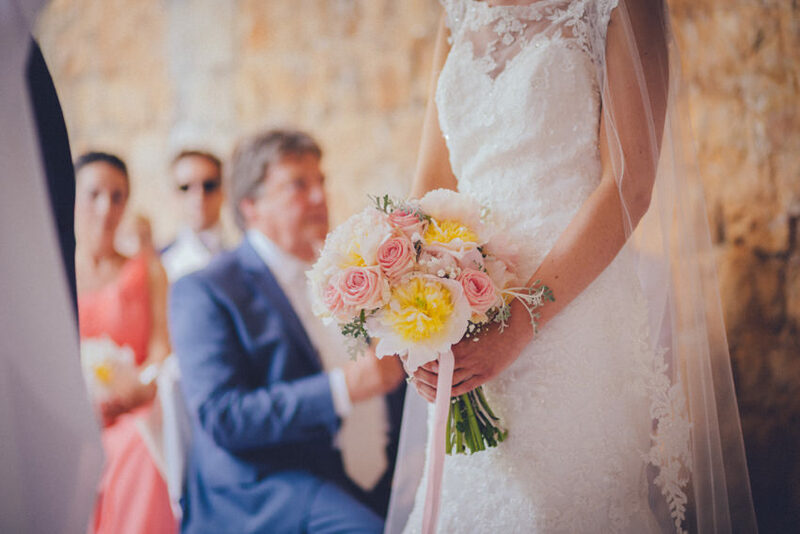 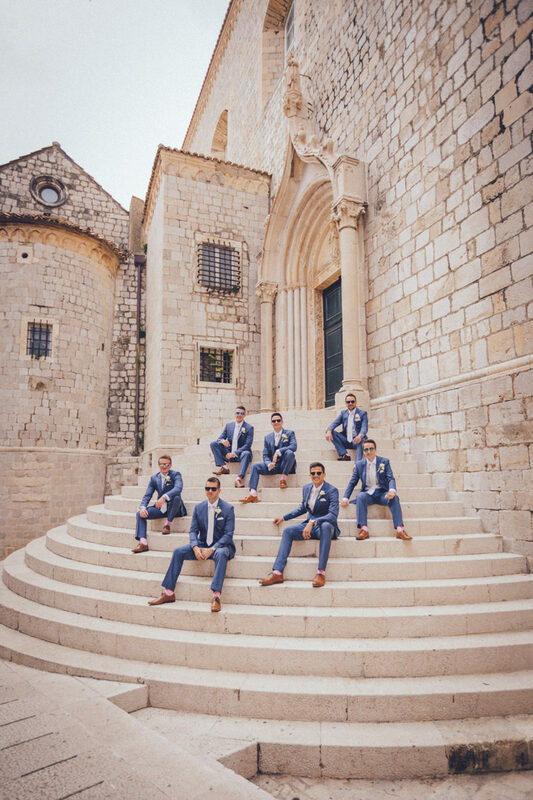 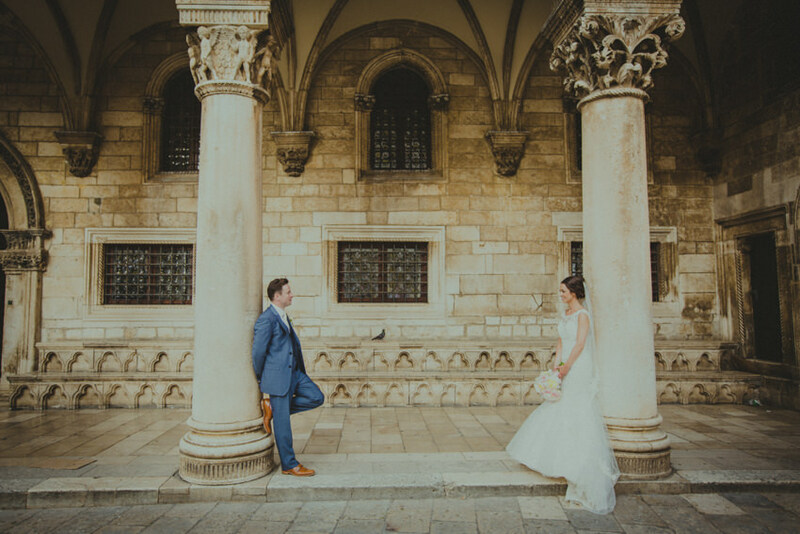 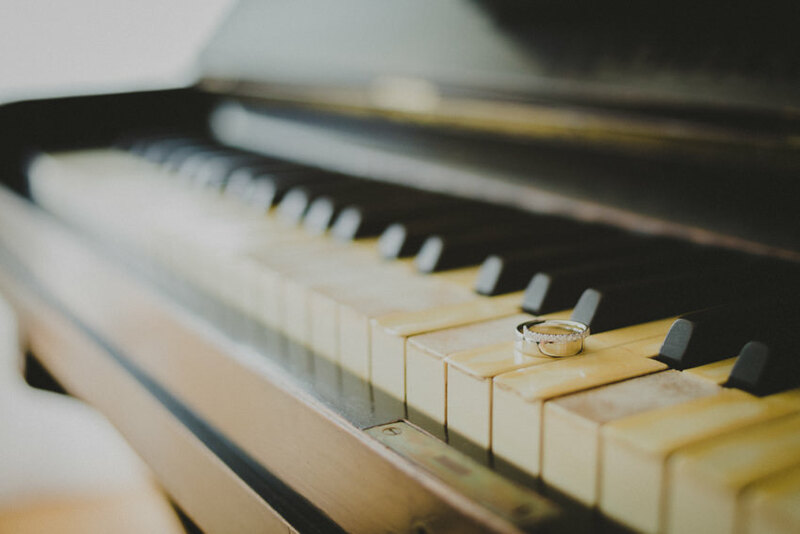 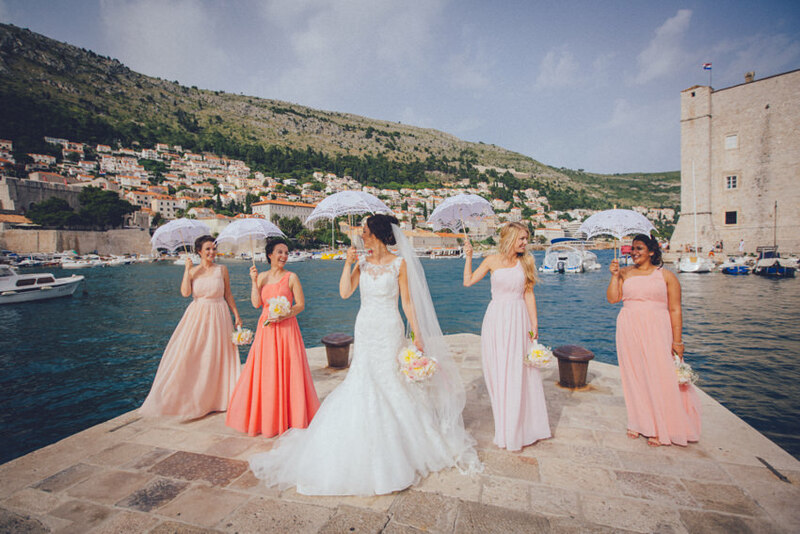 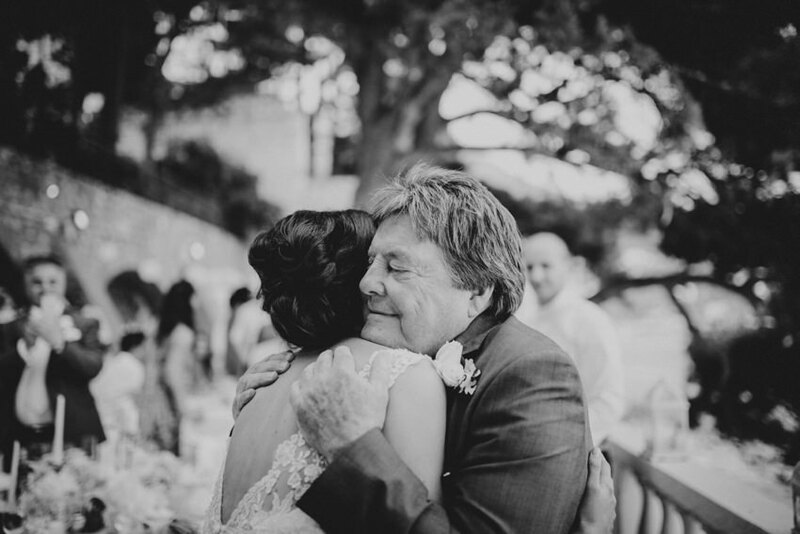 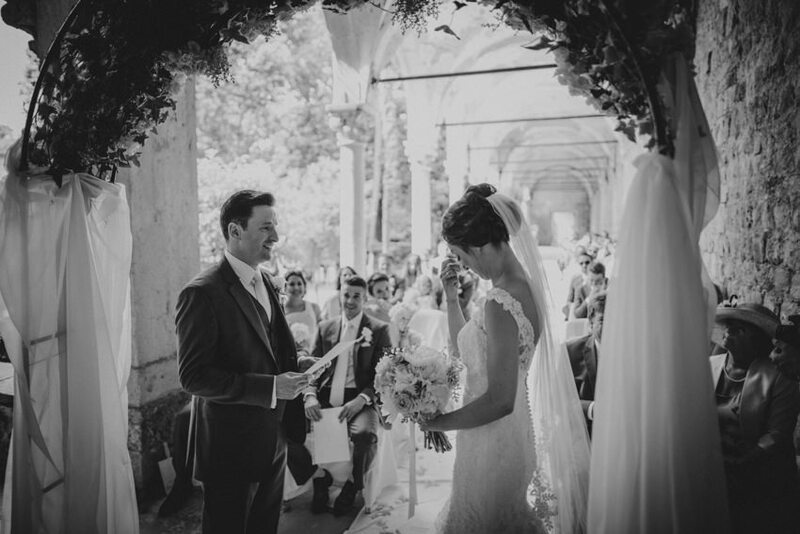 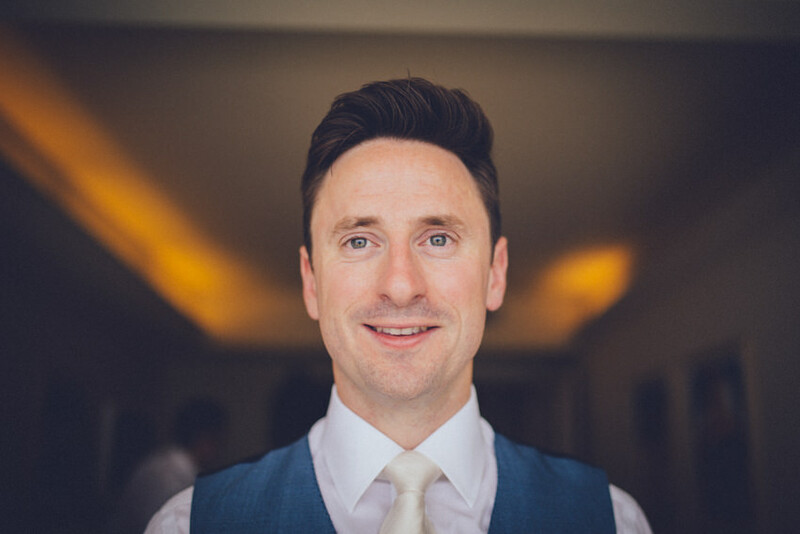 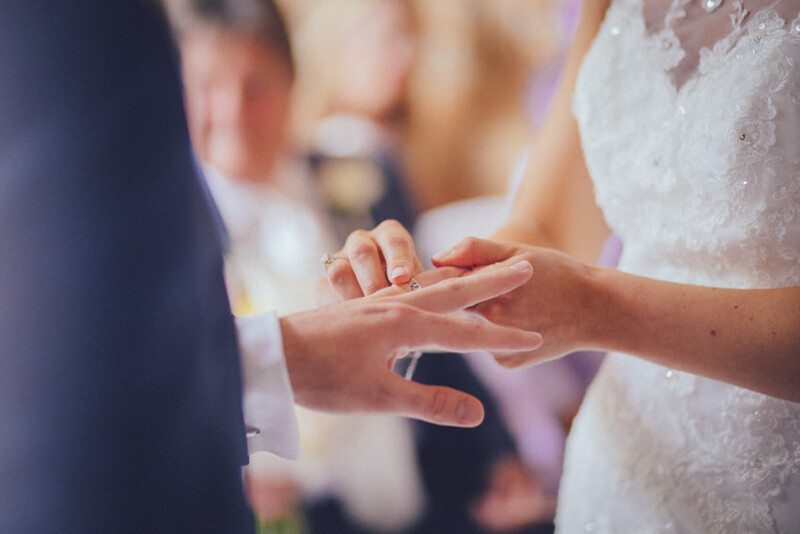 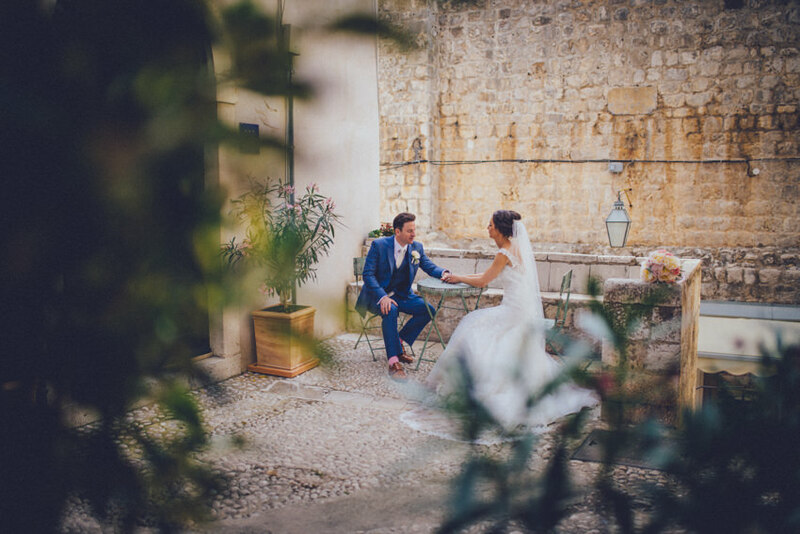 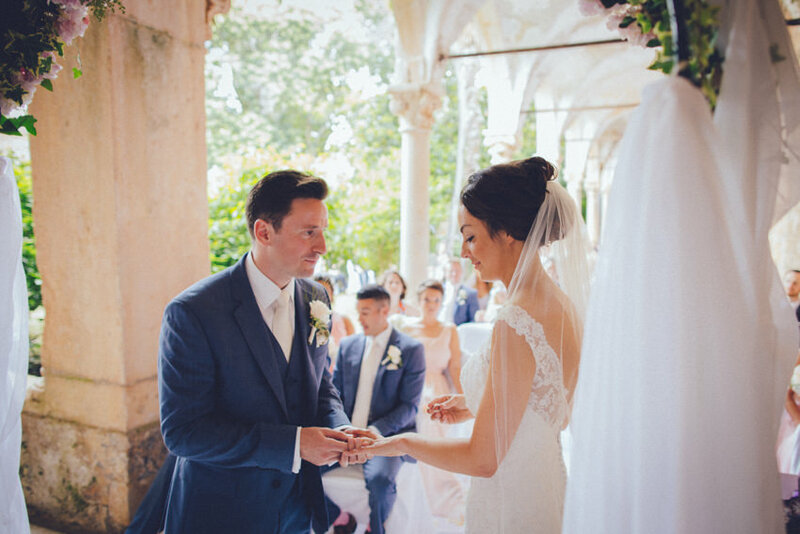 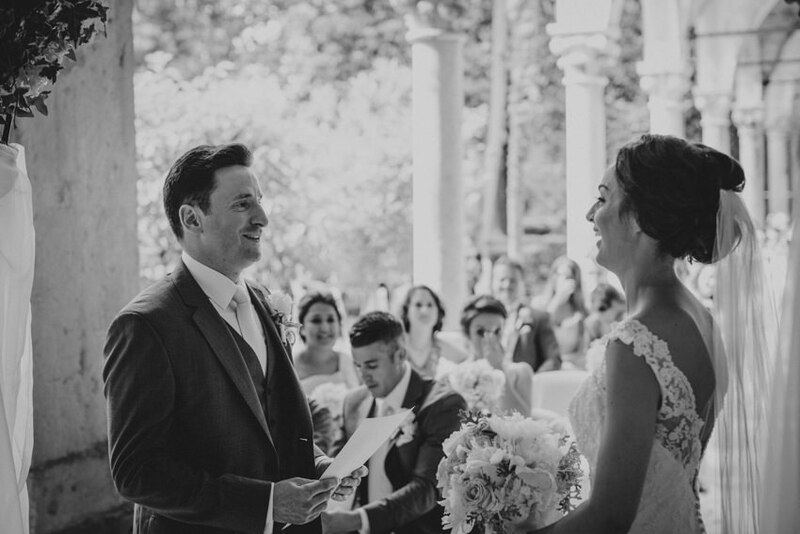 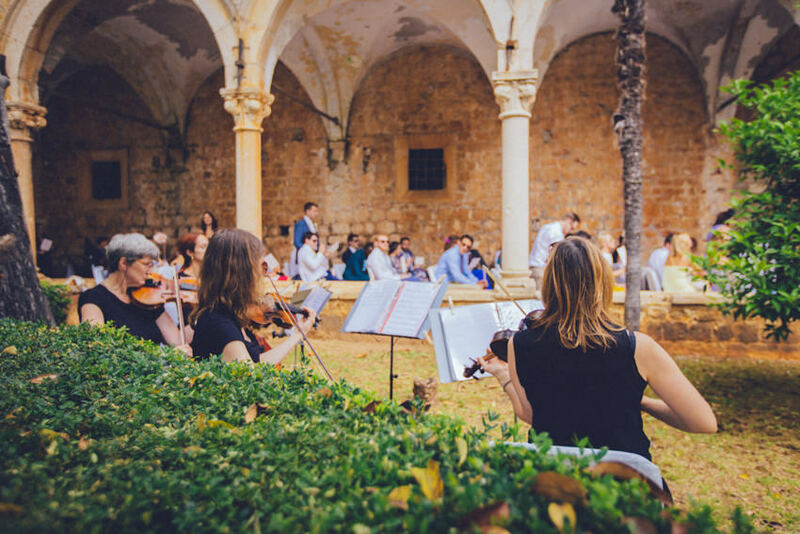 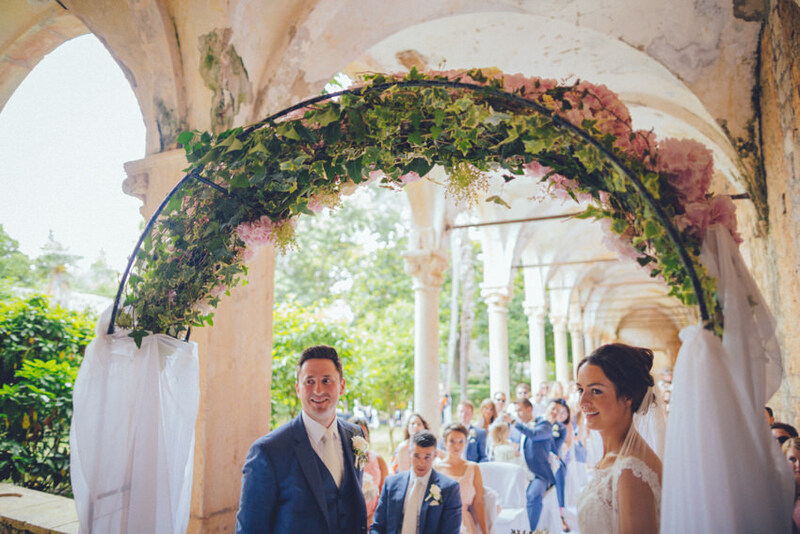 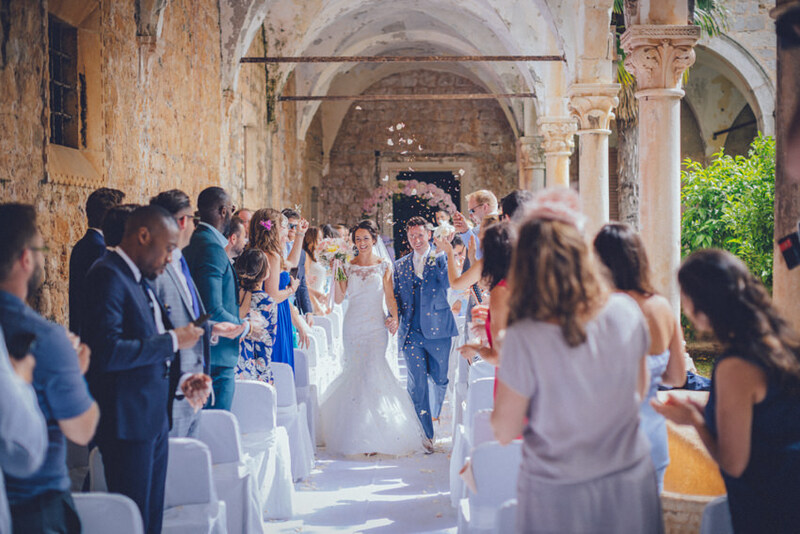 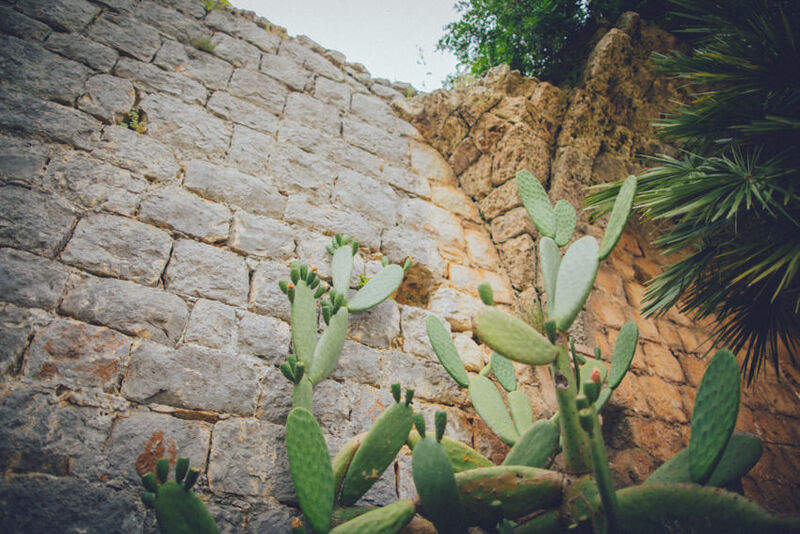 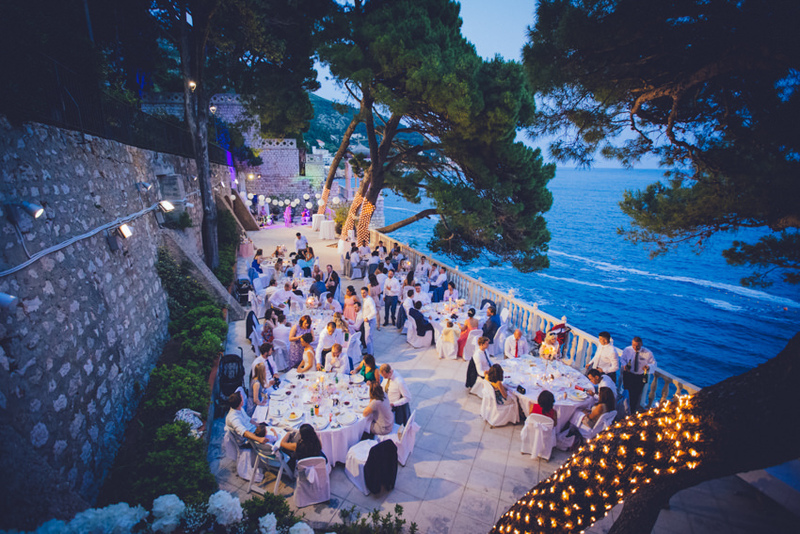 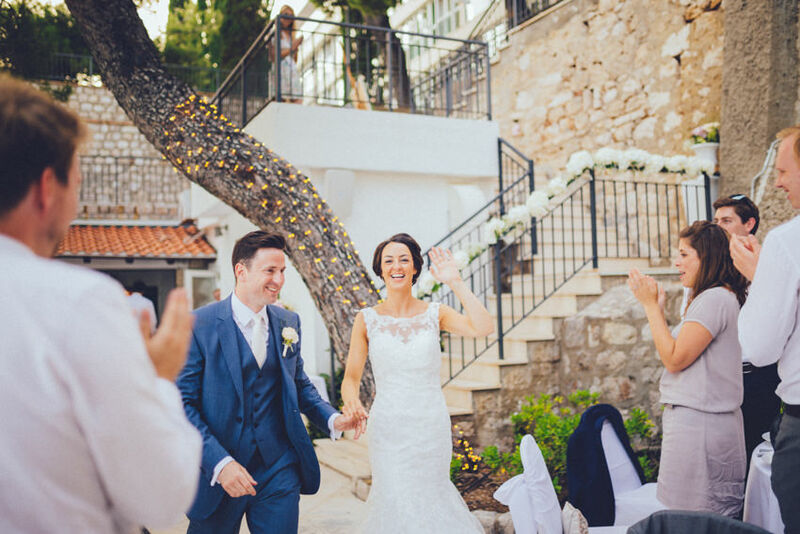 As if having a Dubrovnik wedding isn’t alluring enough, consider adding a ceremony in the monastery of the nearby island of Lokrum, under the ancient stone arches and palms with 50 of your closest friends and family. 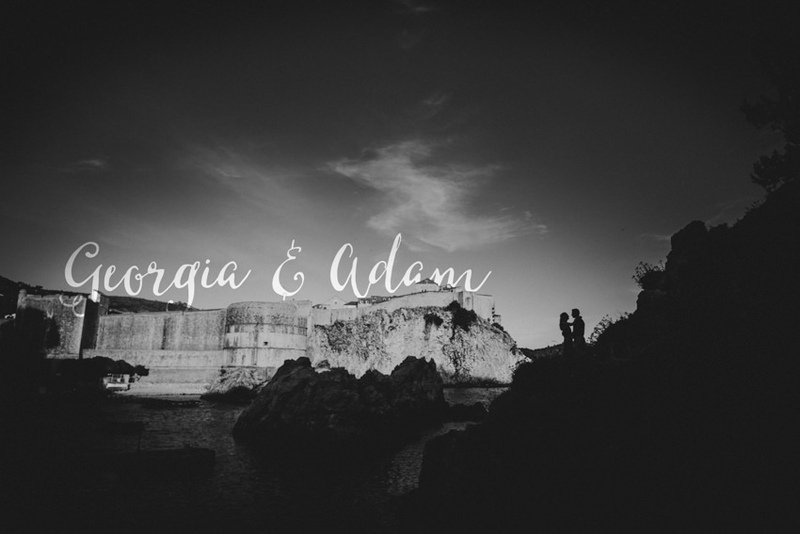 This is exactly what Georgia & Adam conceived. 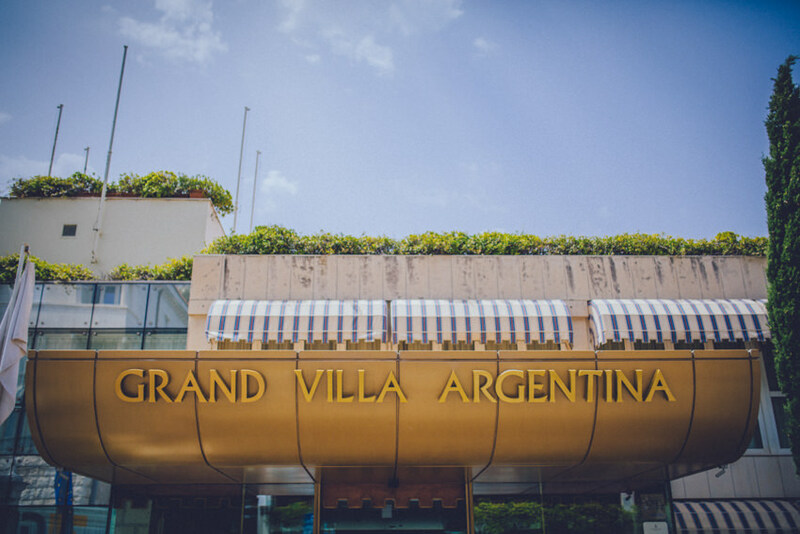 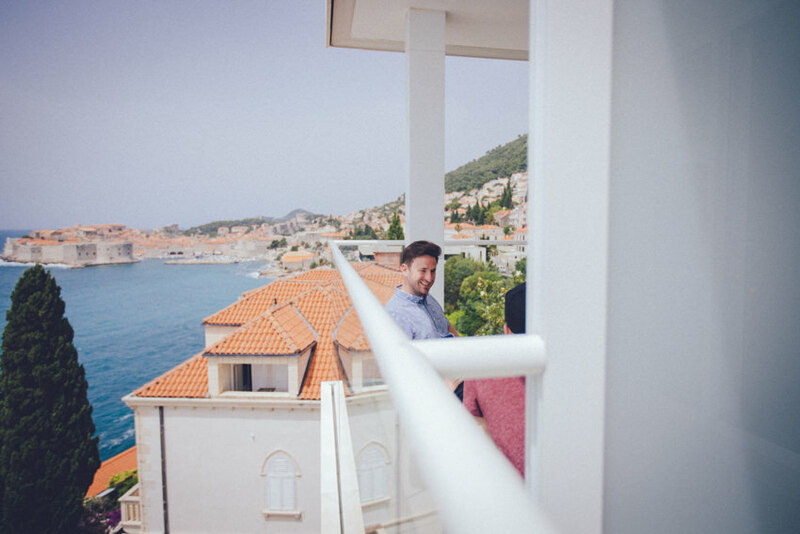 Preparations begin in the villas overlooking the Old Town, followed by a walk through the Old town, where they were greeted by applauding passersby. 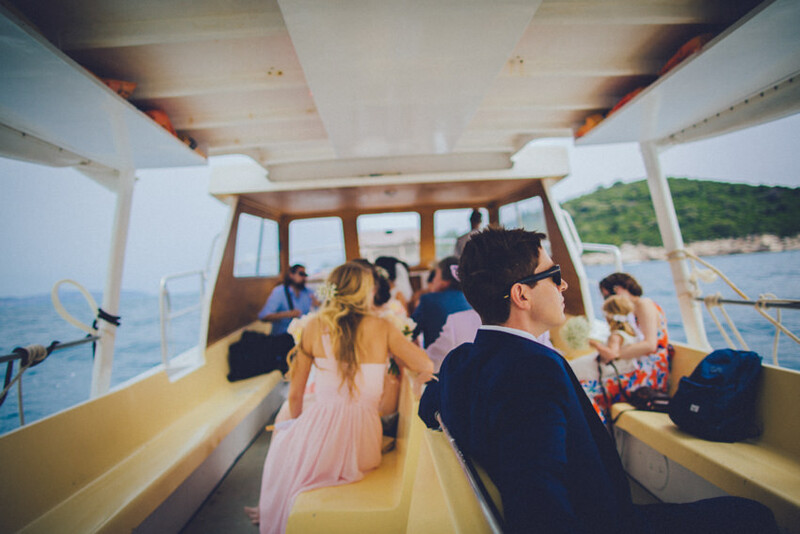 Next, a quick boat jump to the island for the ceremony in the most beautiful setting. 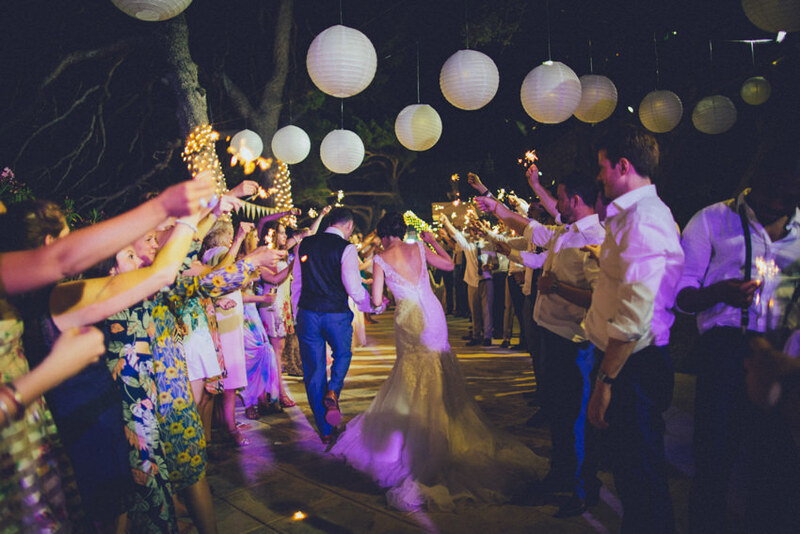 That’s not where the beauty ended, as we followed them to the dinner reception (and a lot of dancing!) 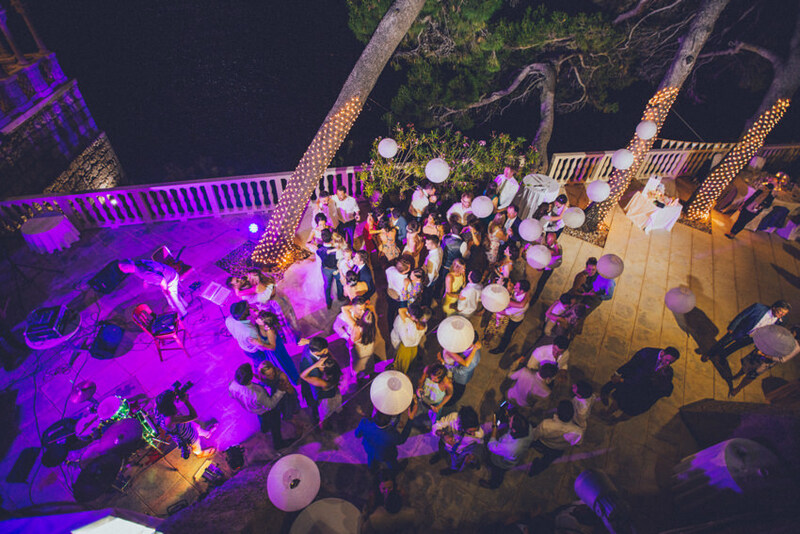 in a venue squeezed in between old pine trees and sea, with a view of both Lokrum and Dubrovnik. 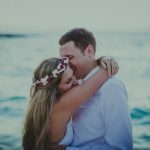 We begin with a short and sweet prewedding session where we explored some places where it pays not to be in a wedding dress and high heels. 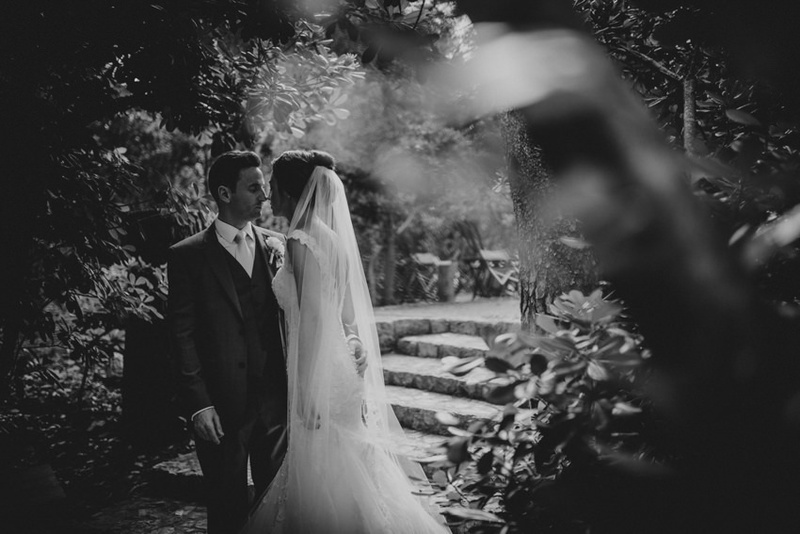 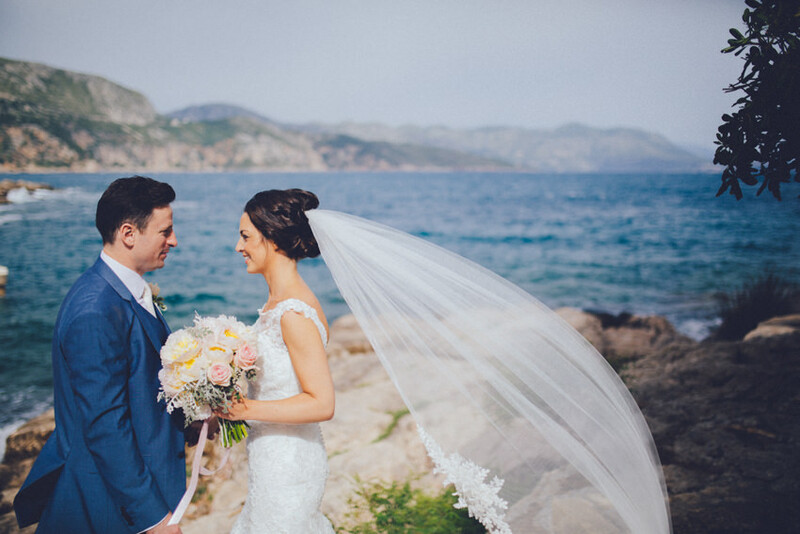 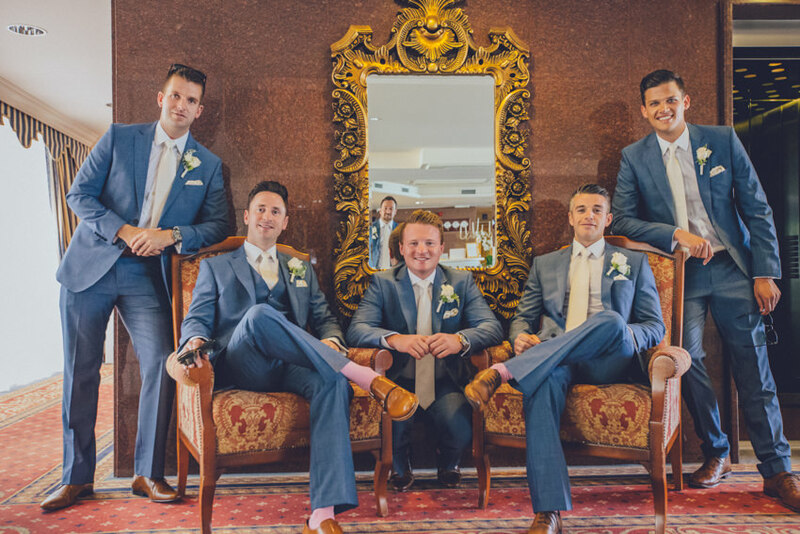 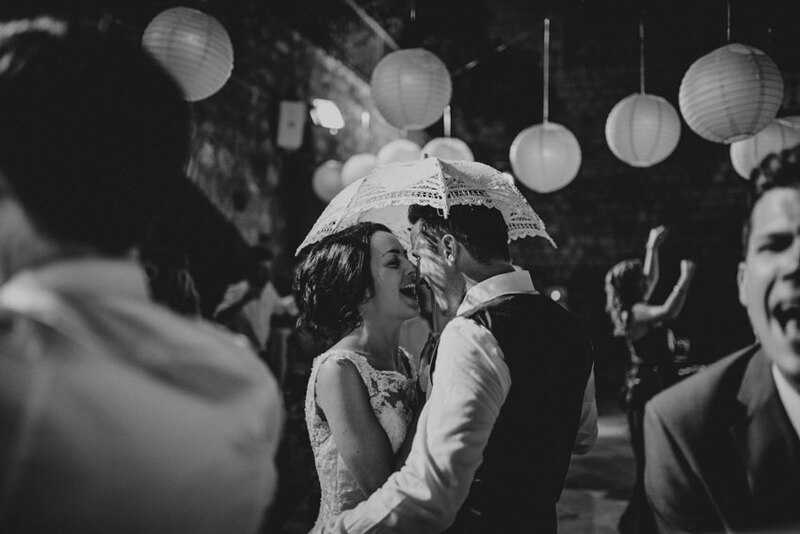 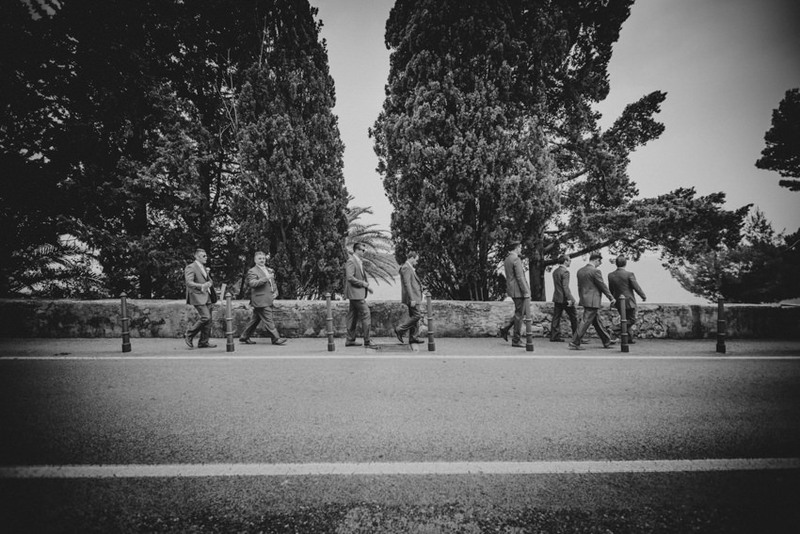 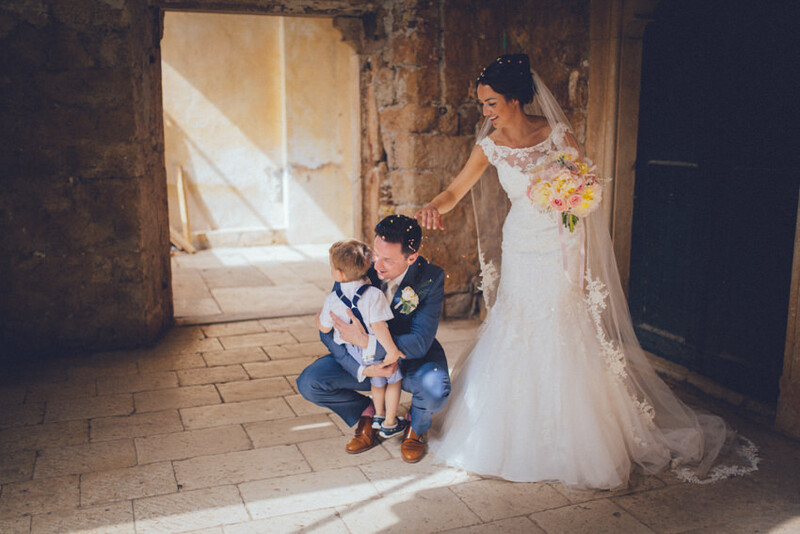 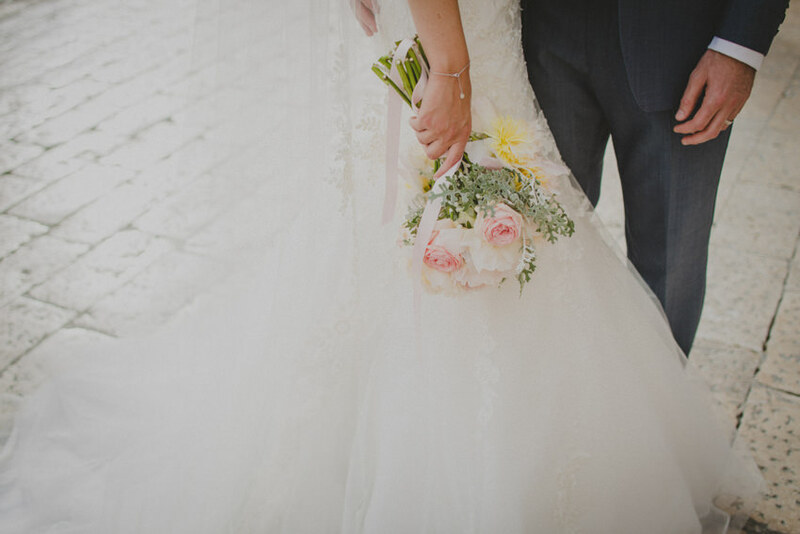 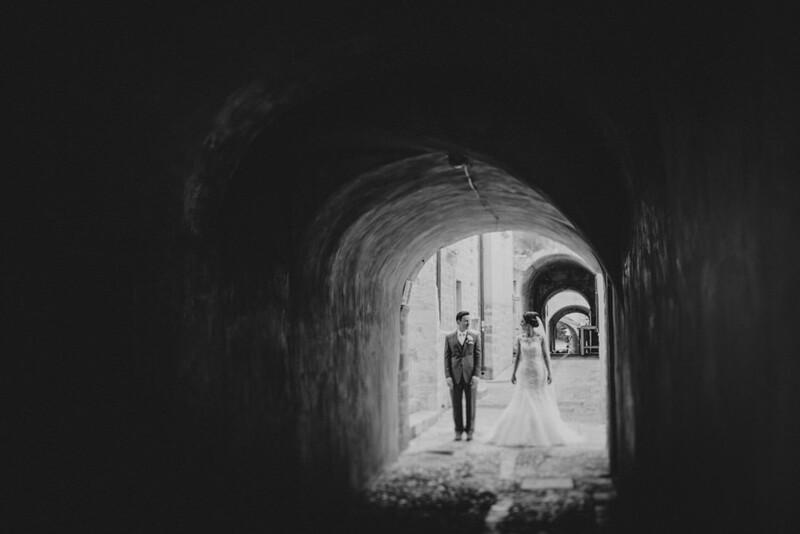 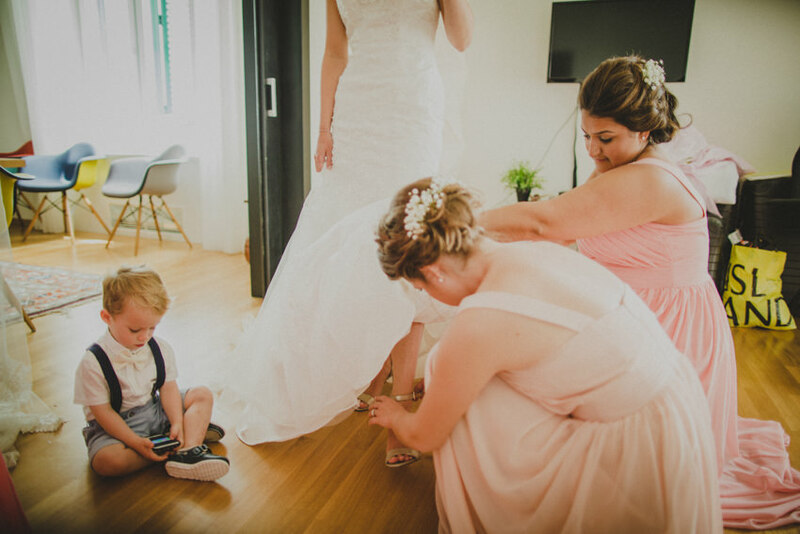 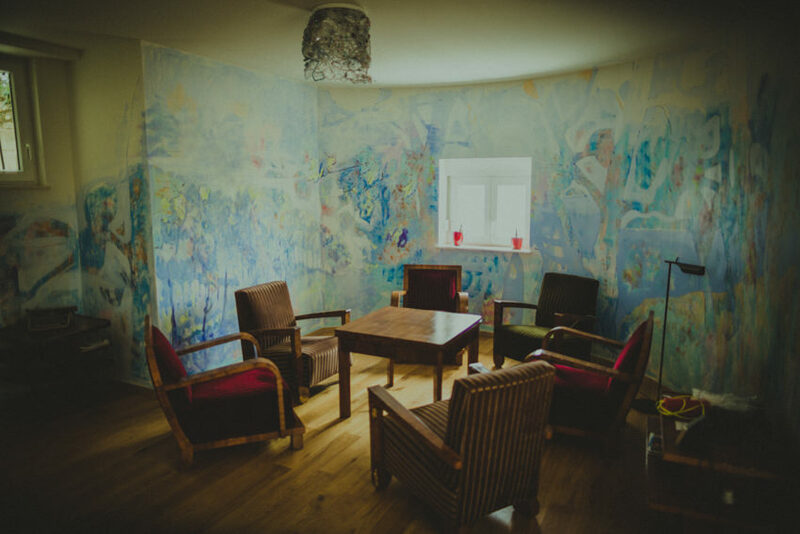 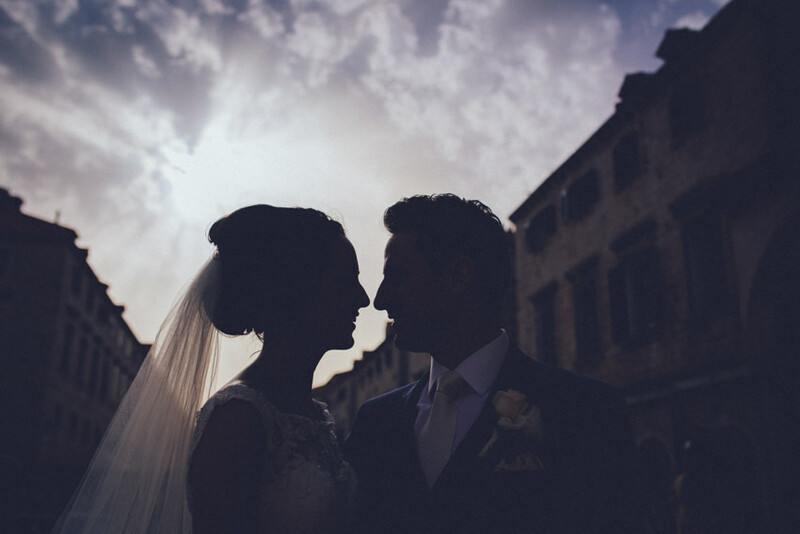 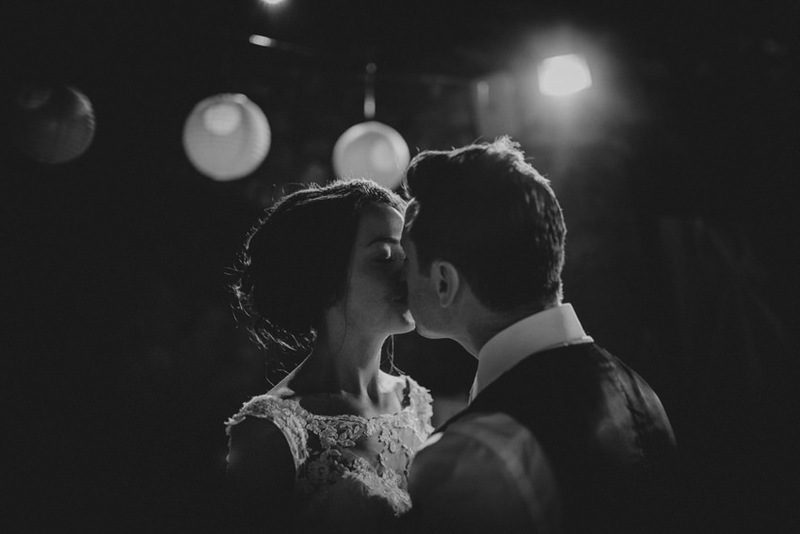 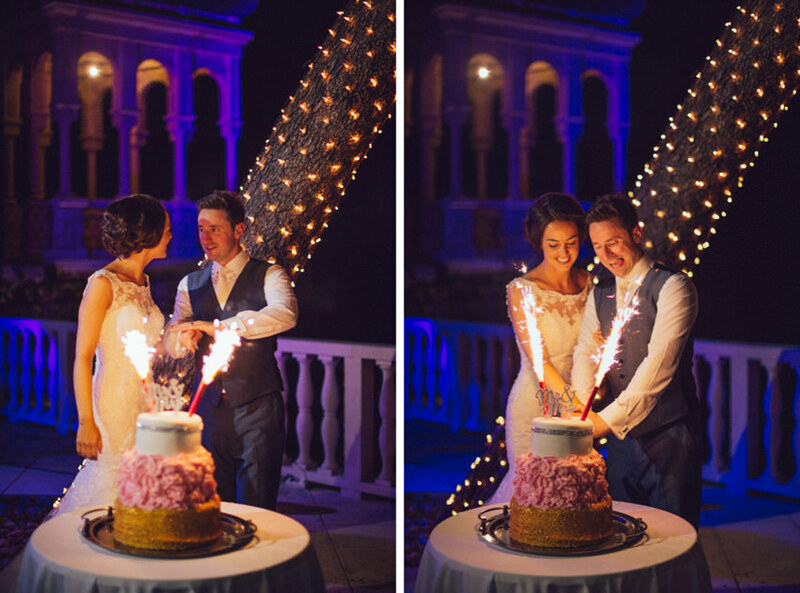 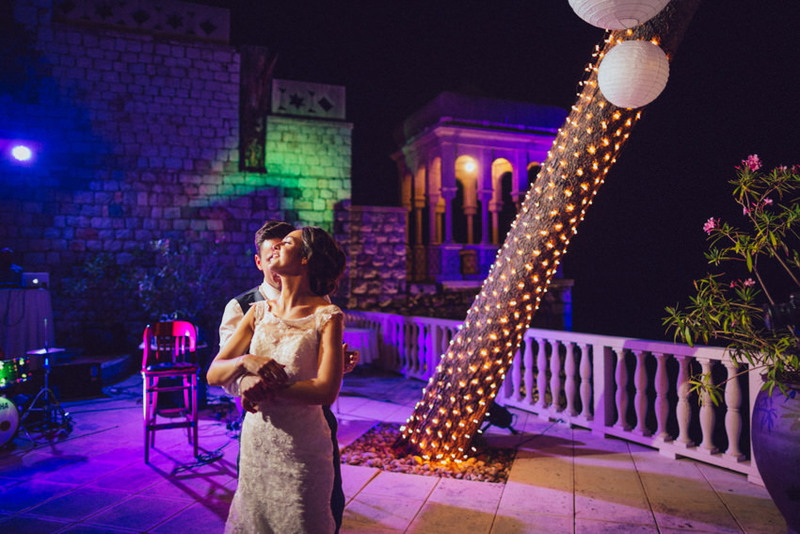 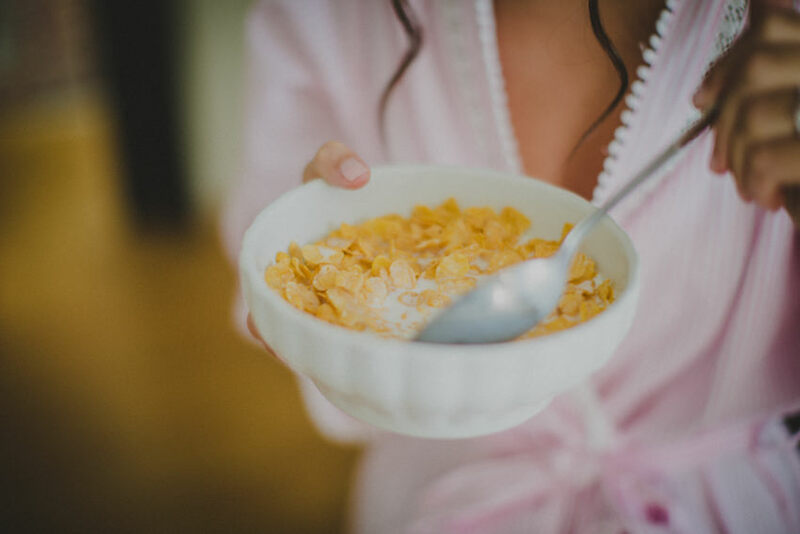 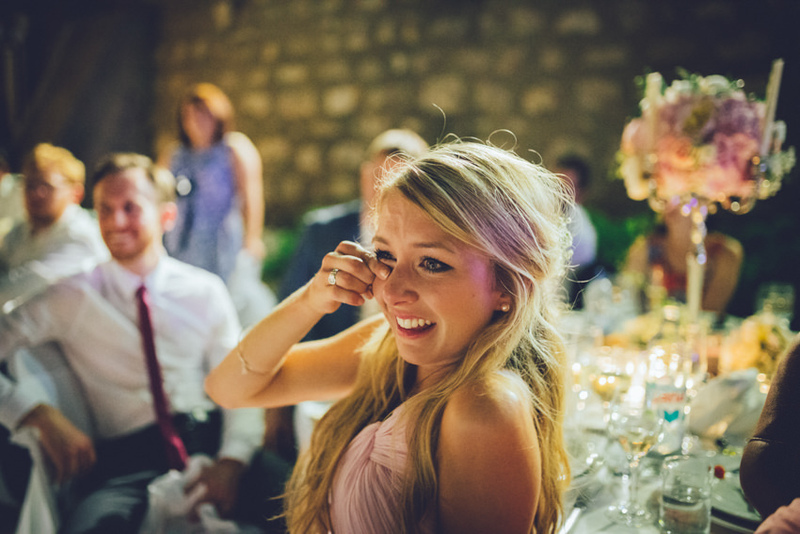 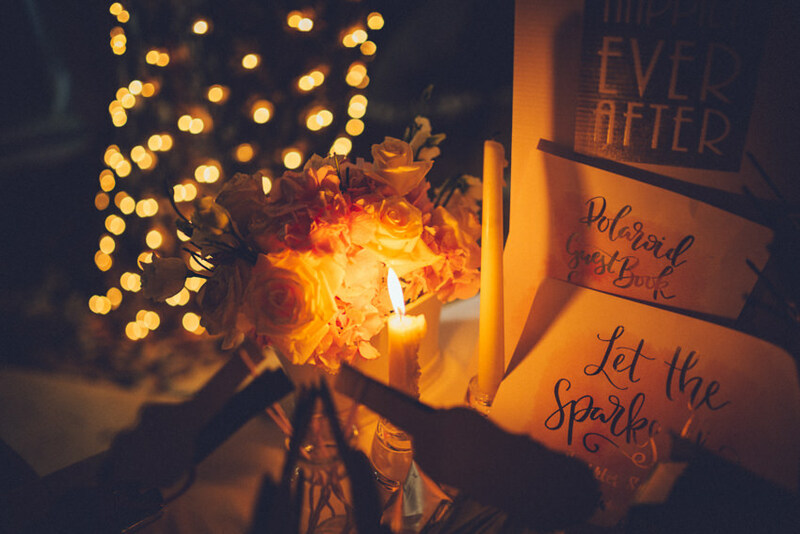 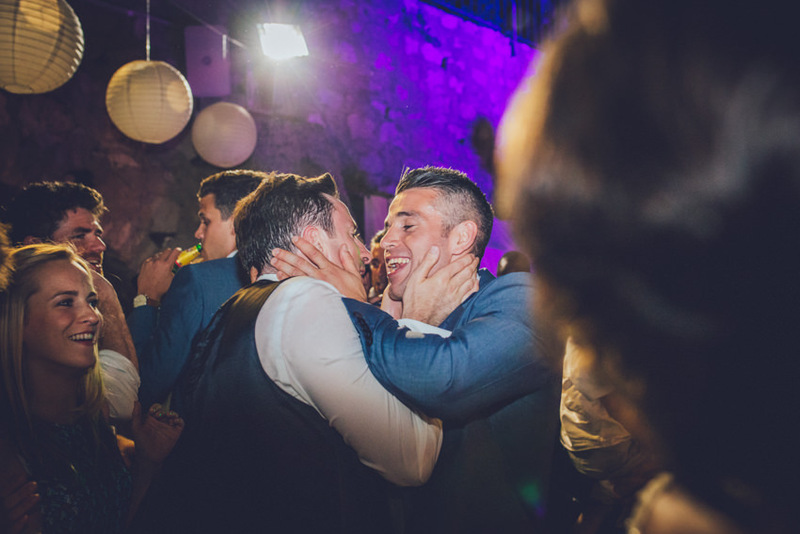 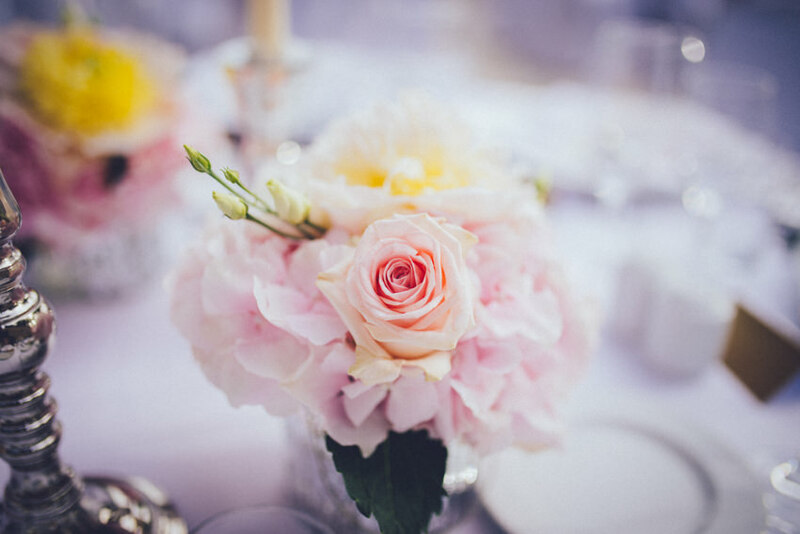 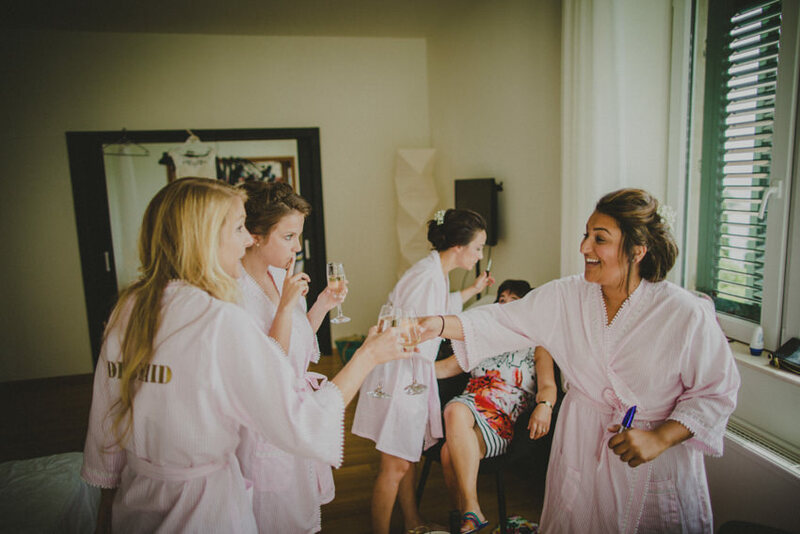 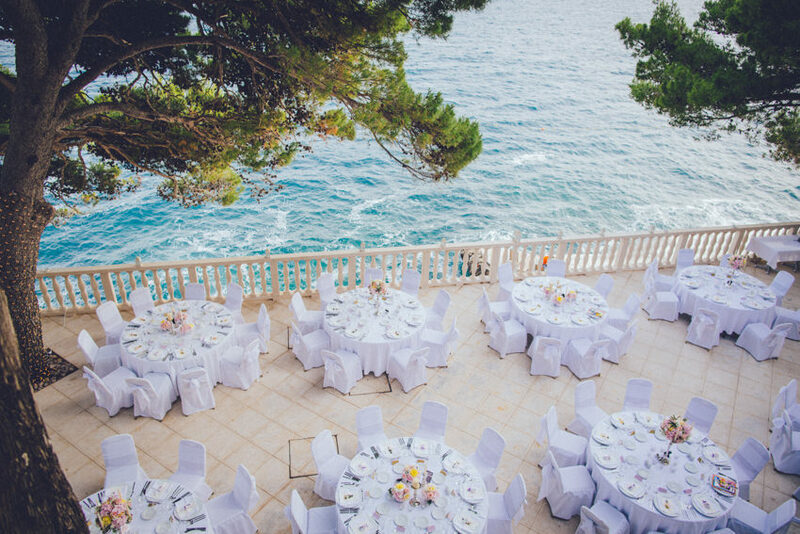 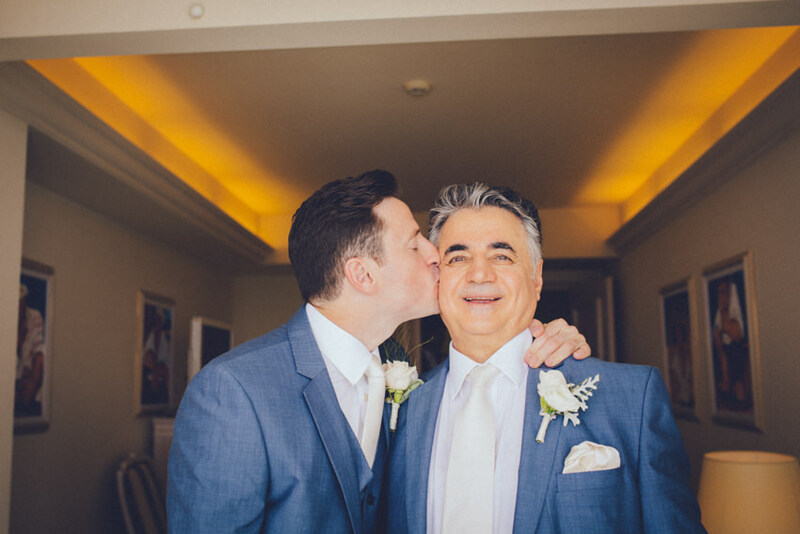 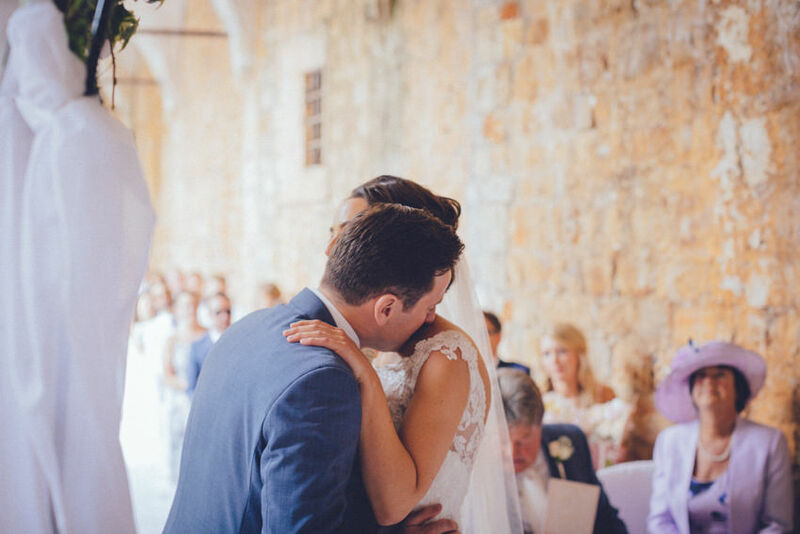 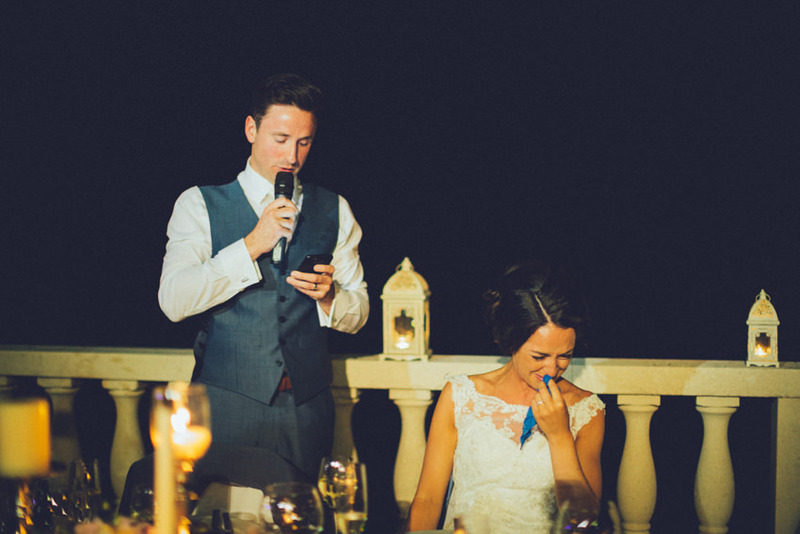 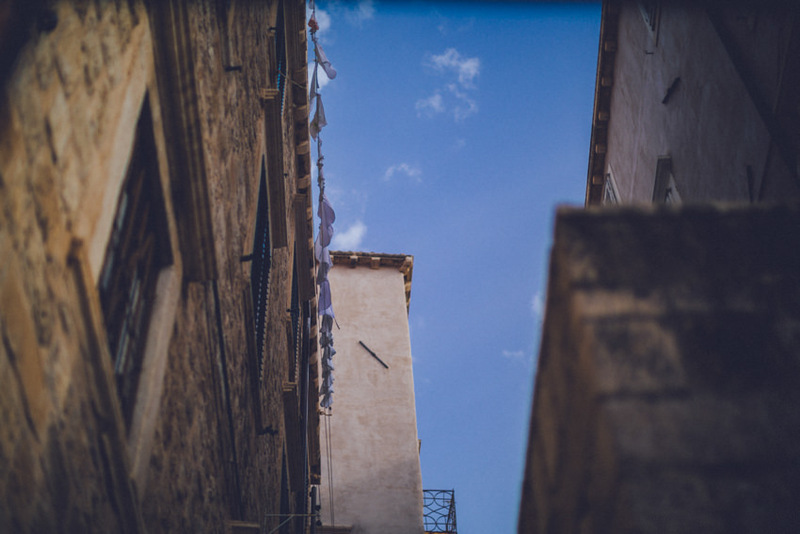 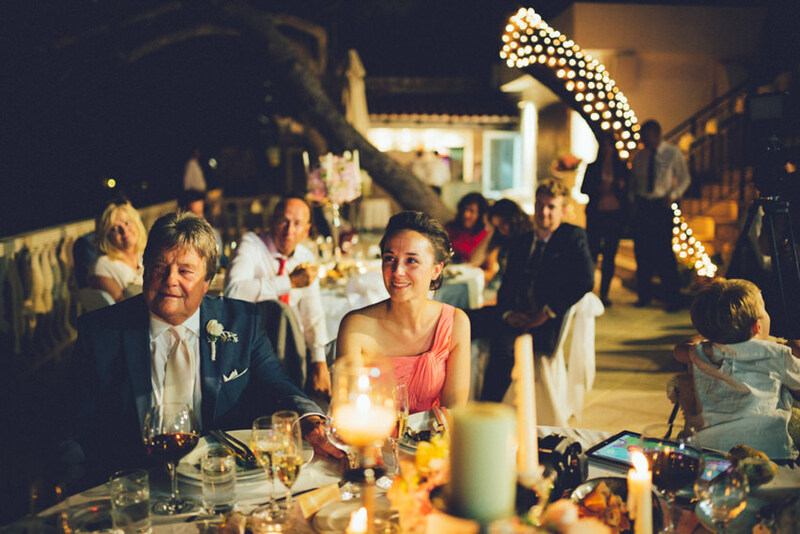 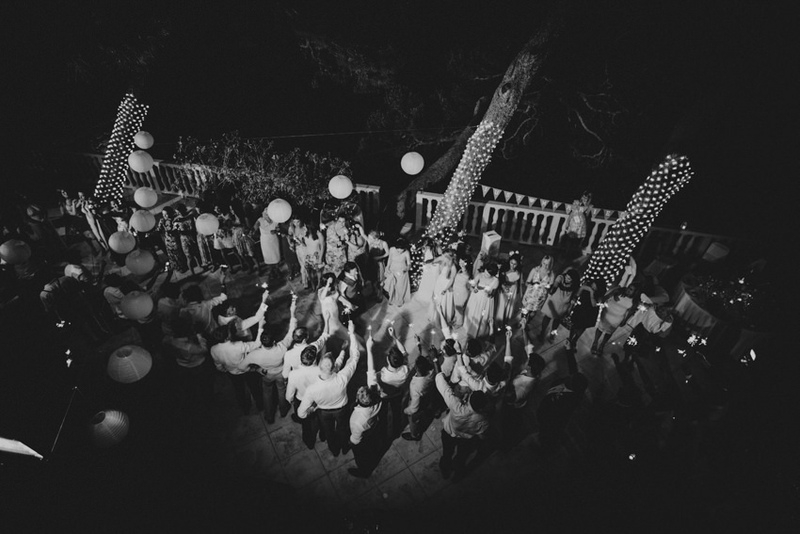 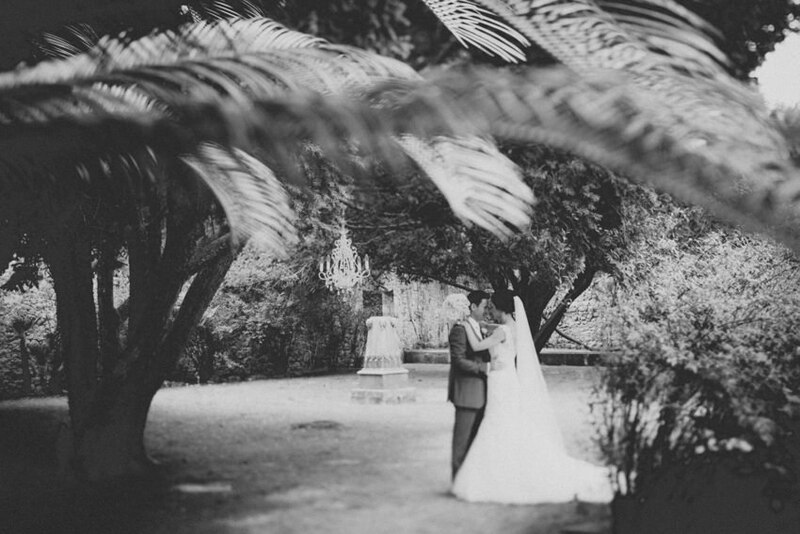 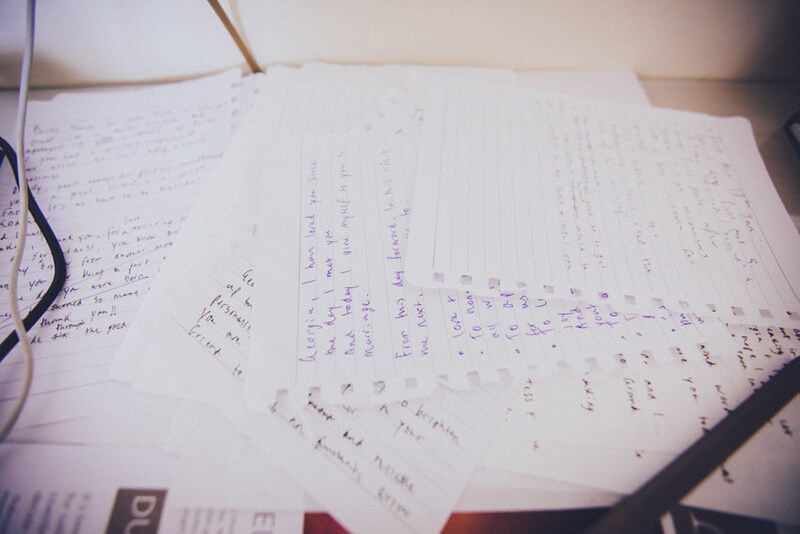 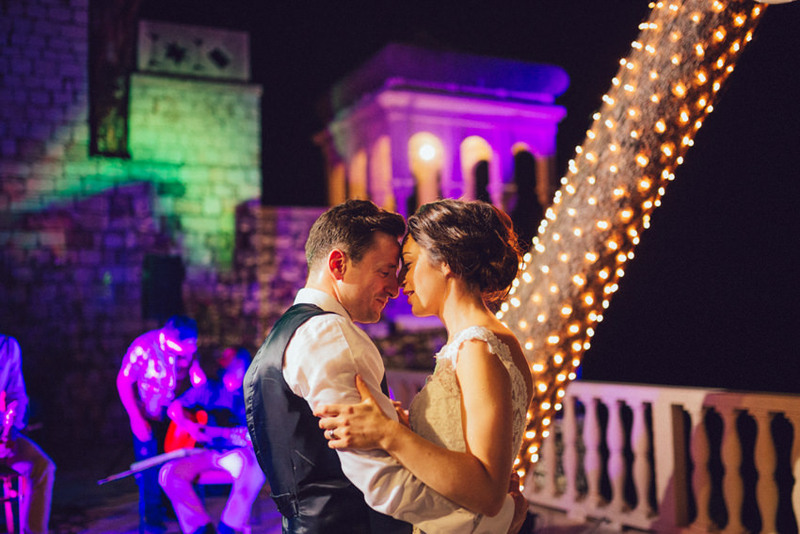 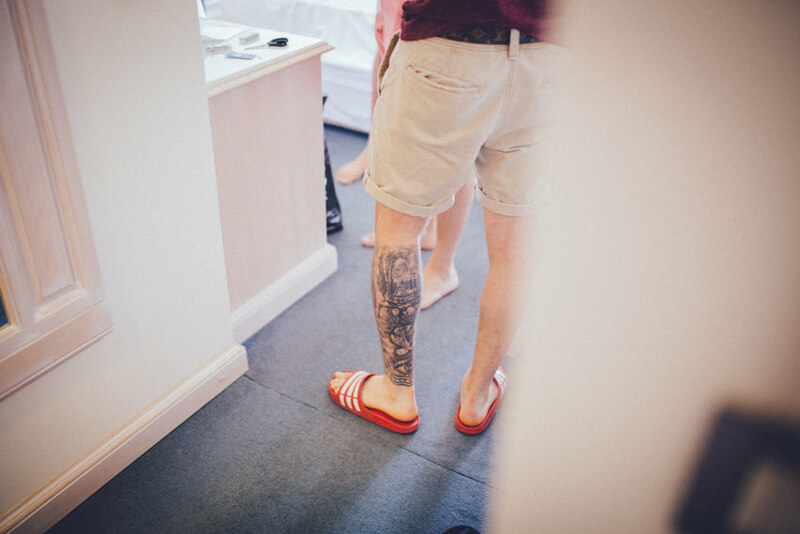 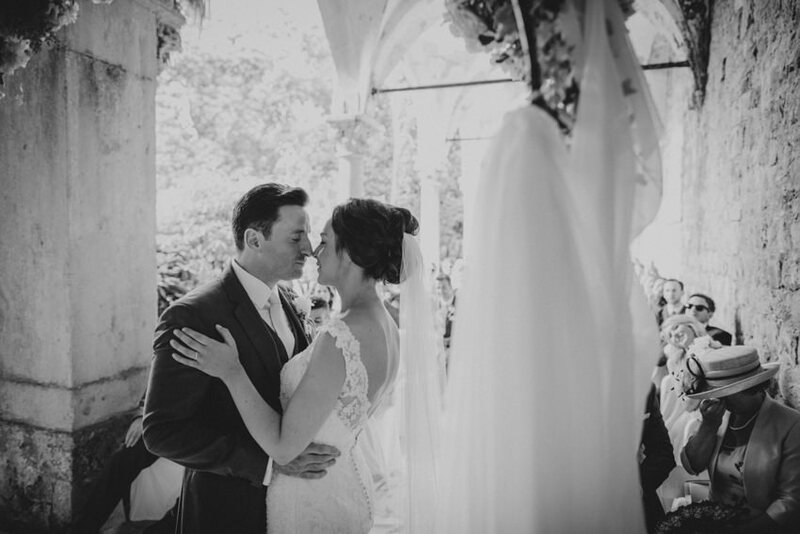 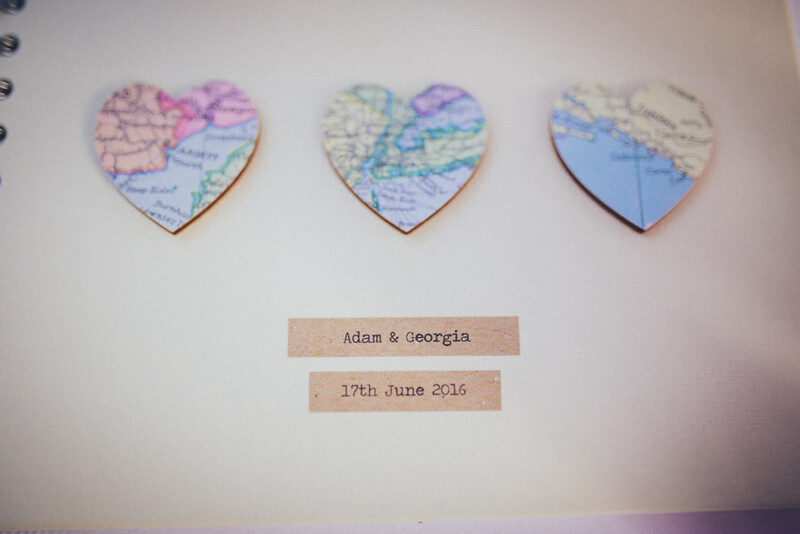 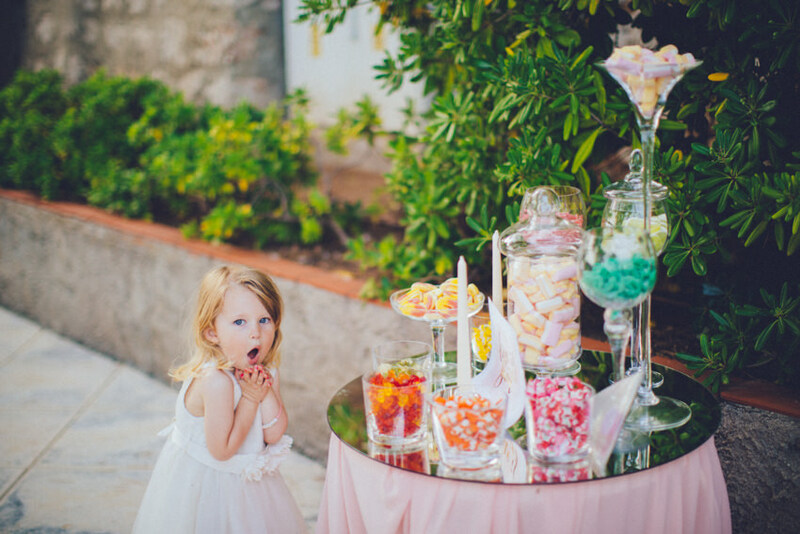 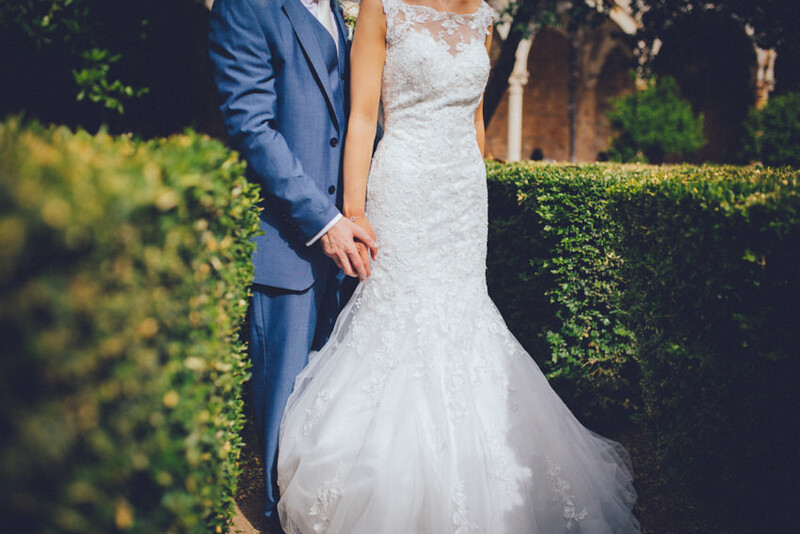 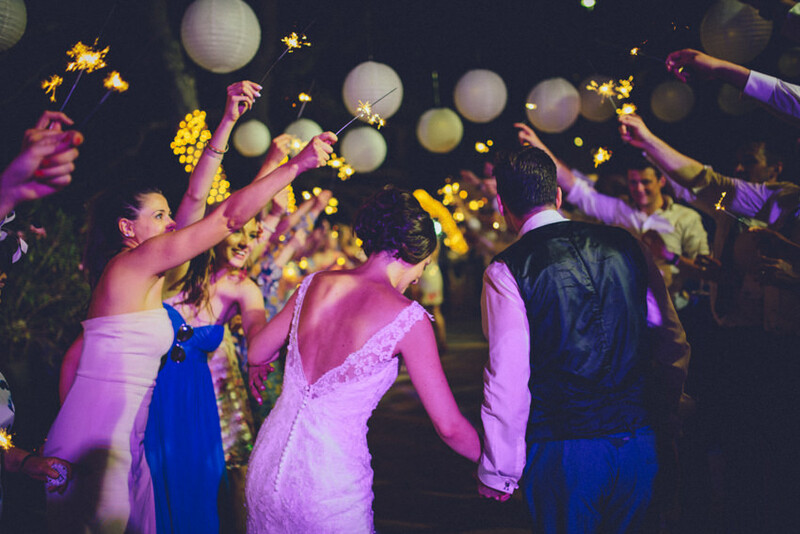 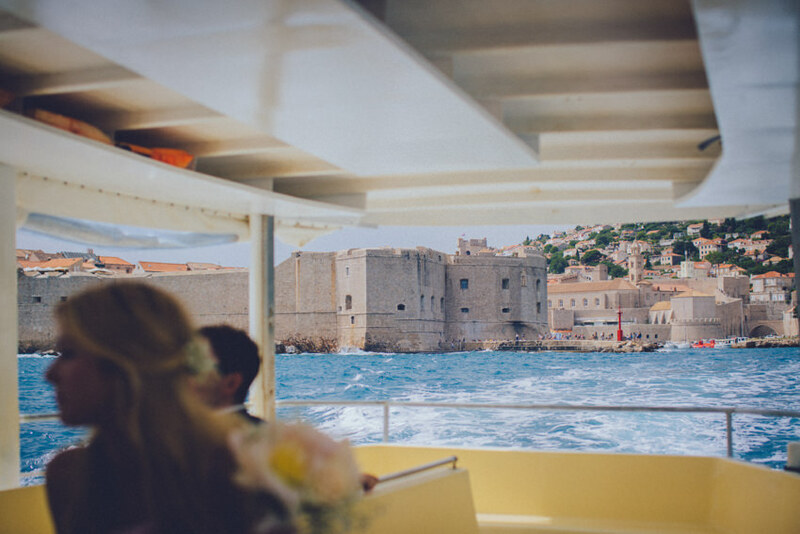 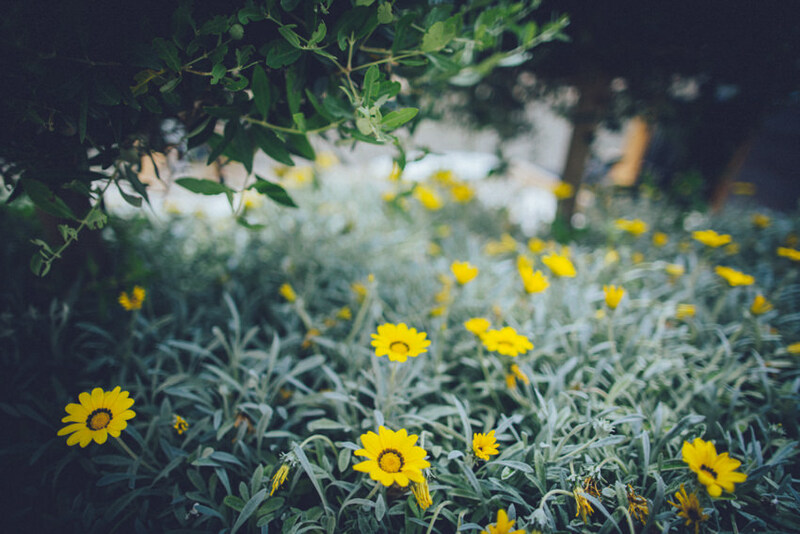 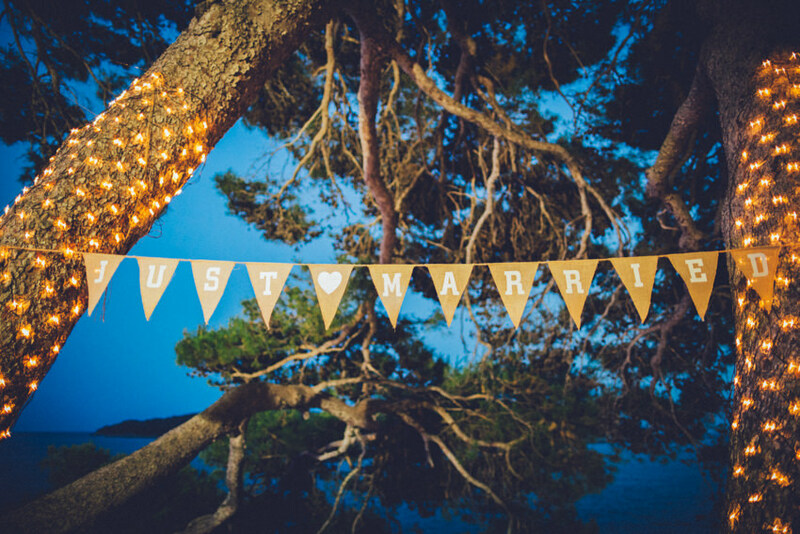 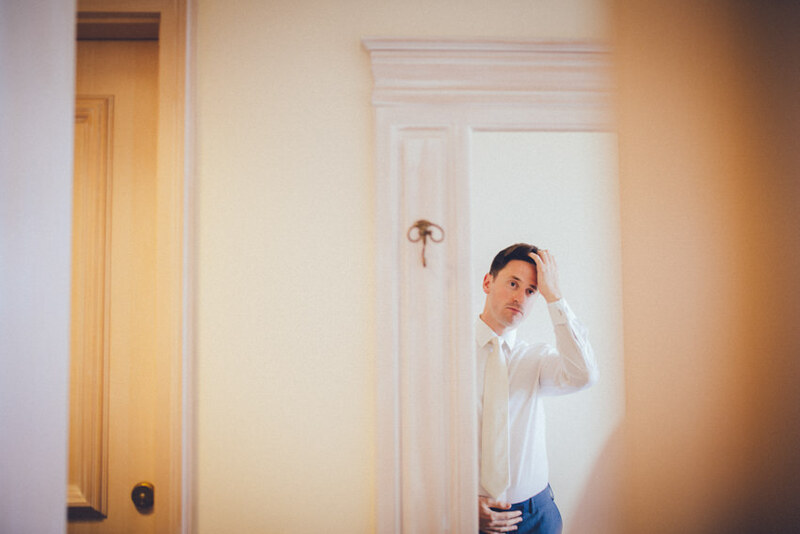 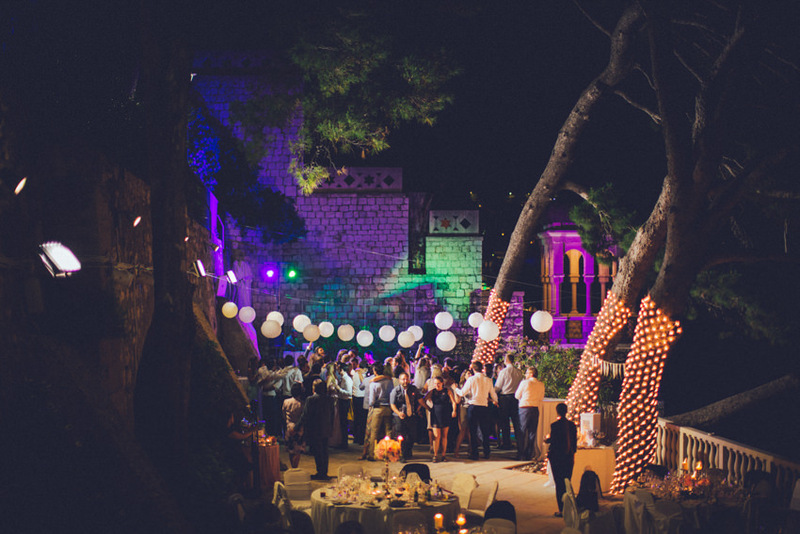 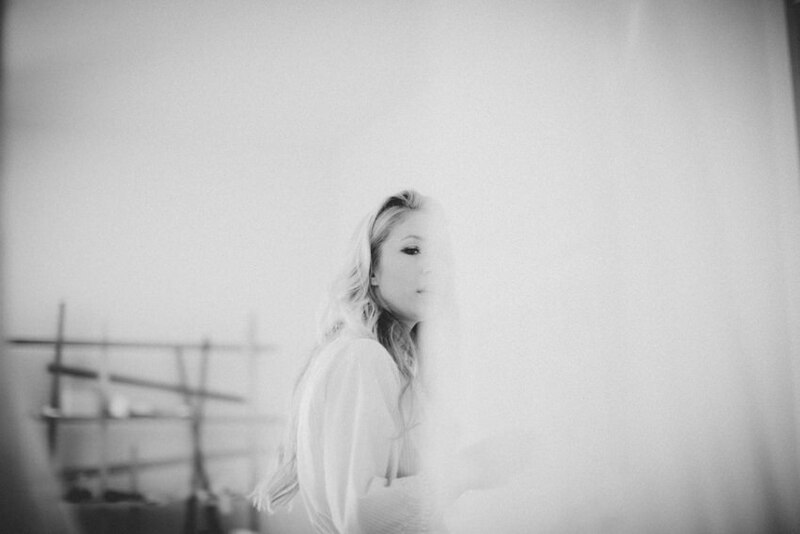 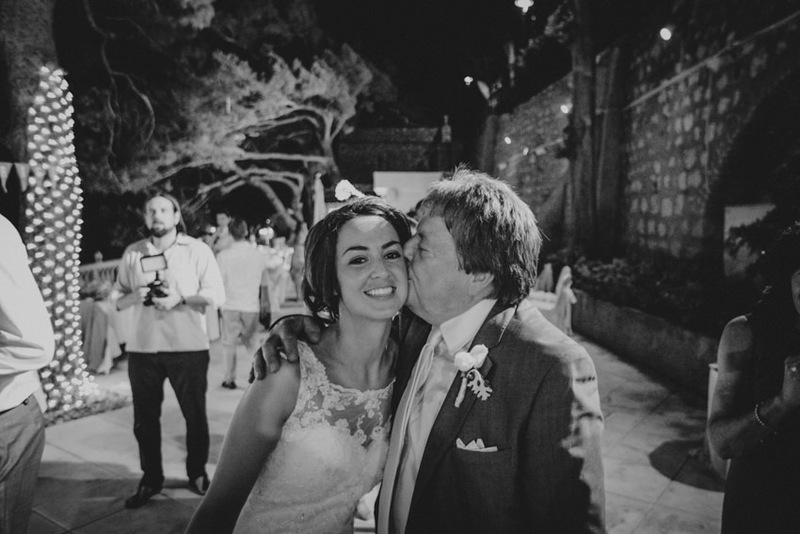 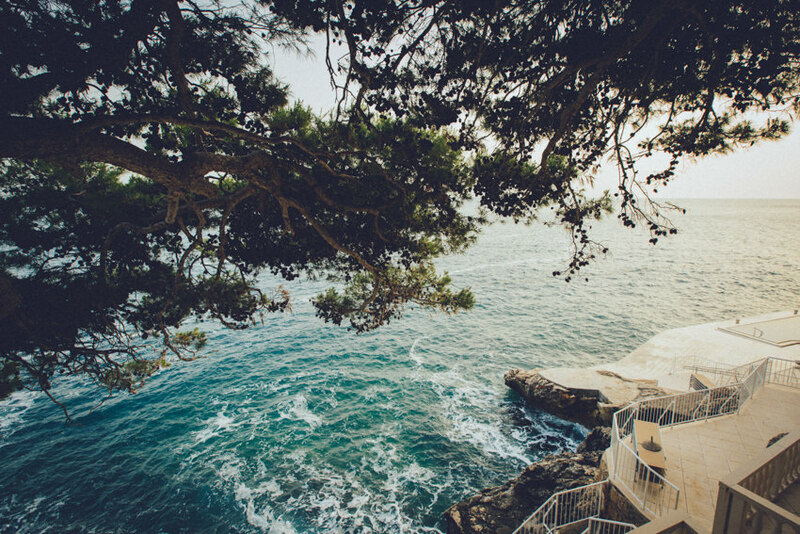 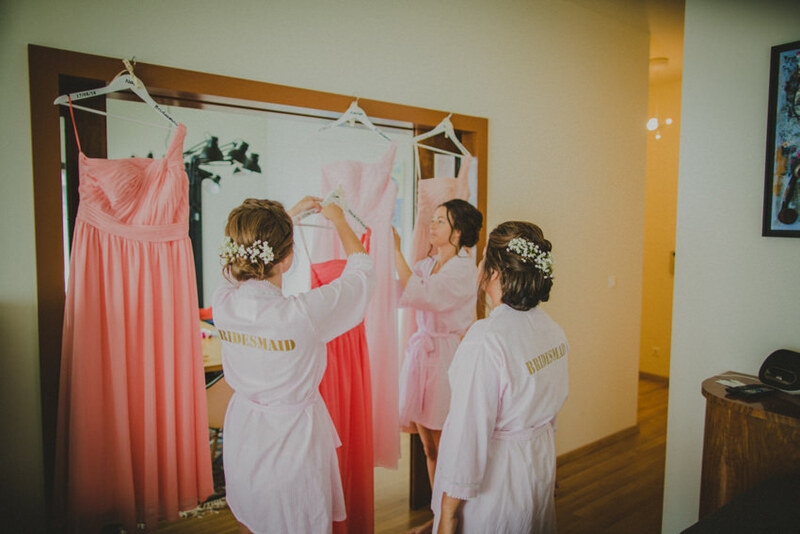 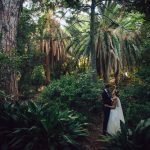 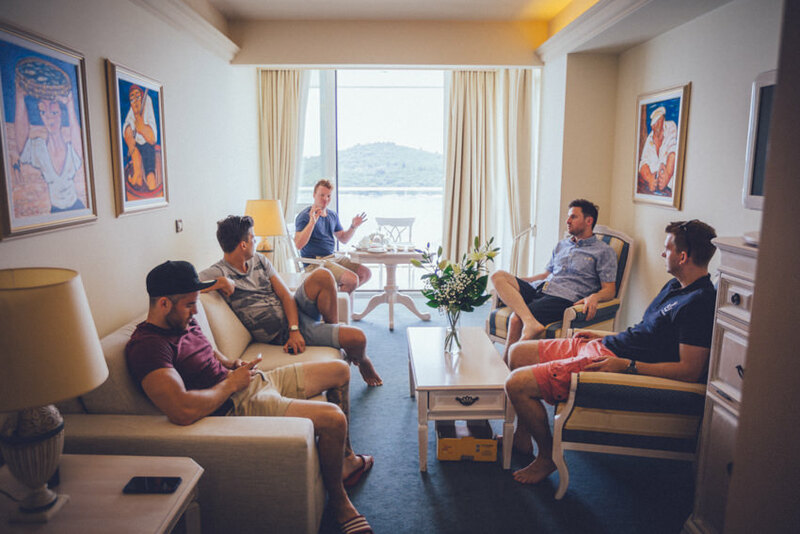 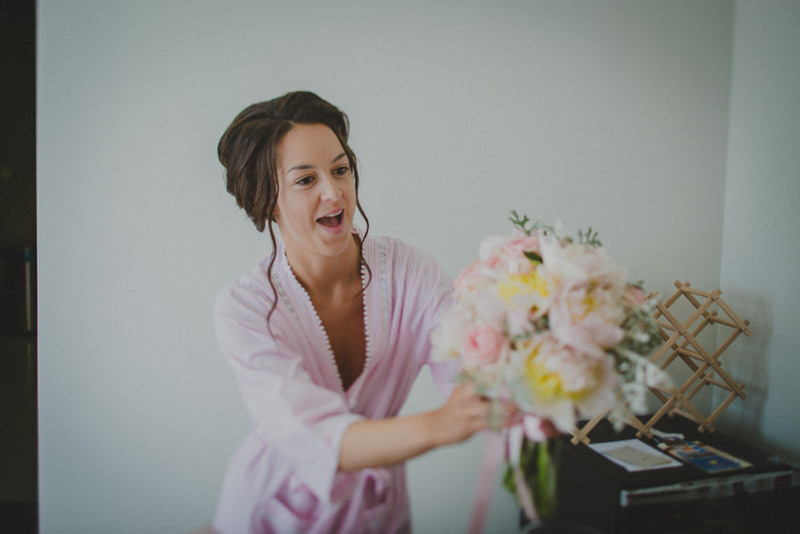 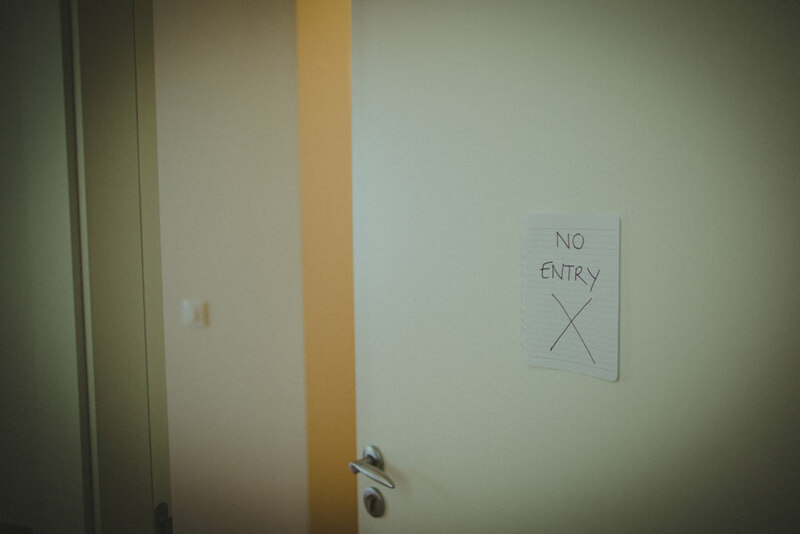 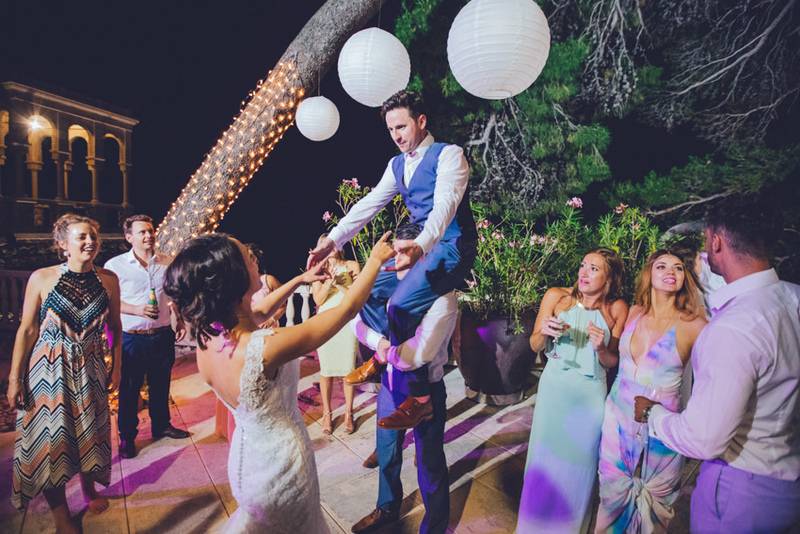 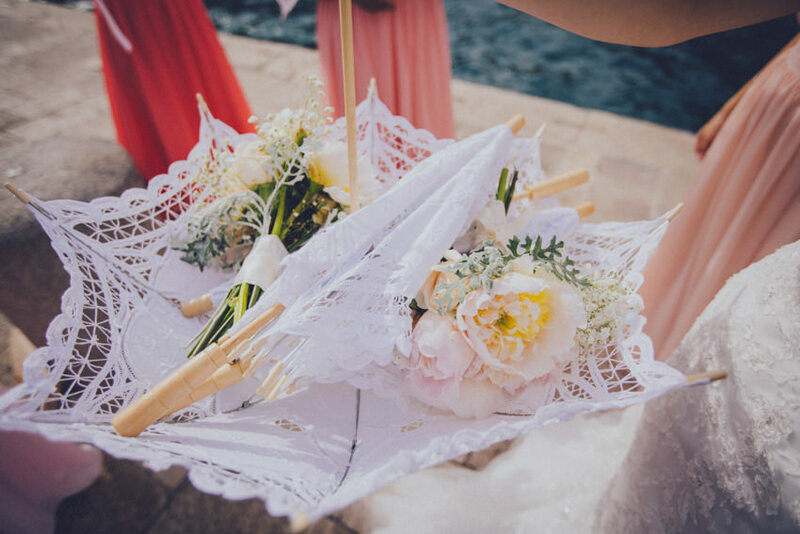 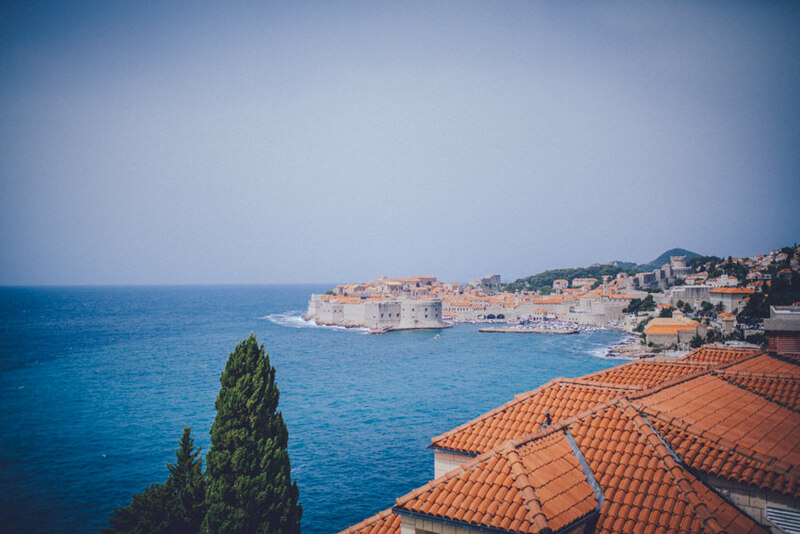 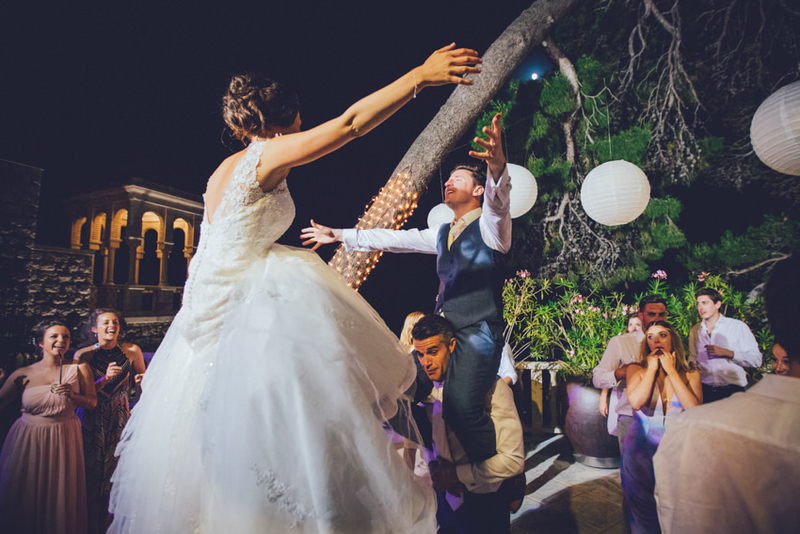 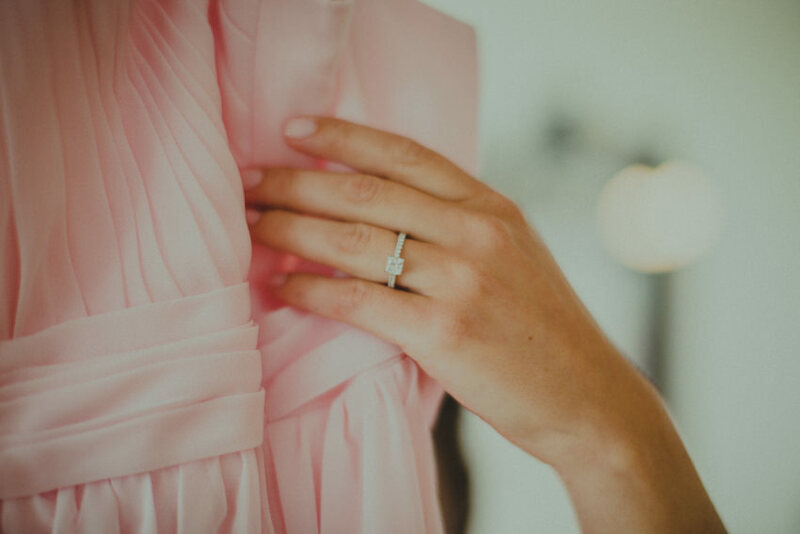 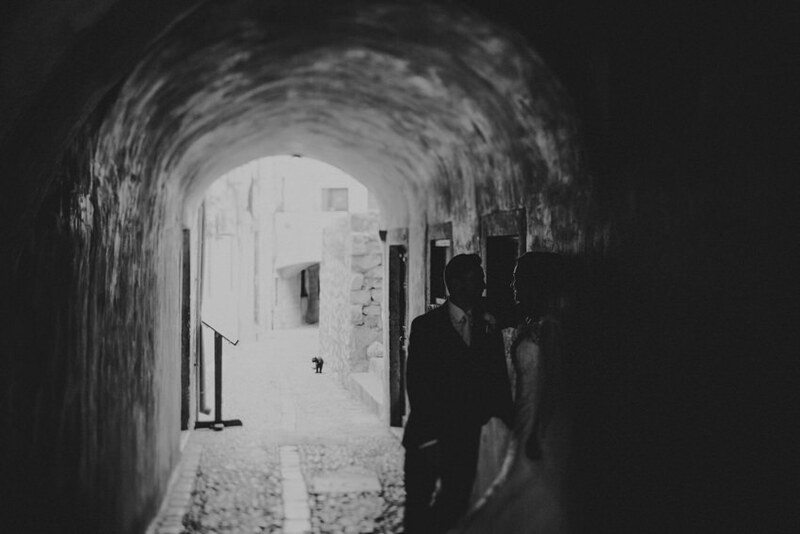 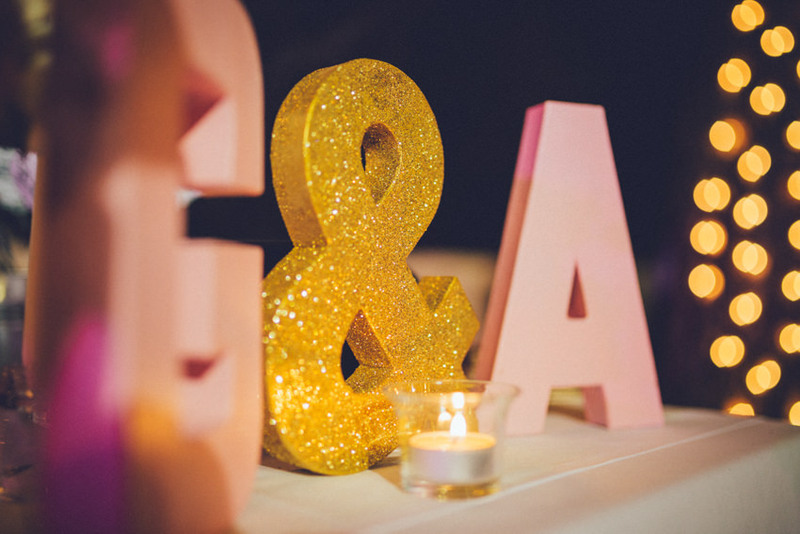 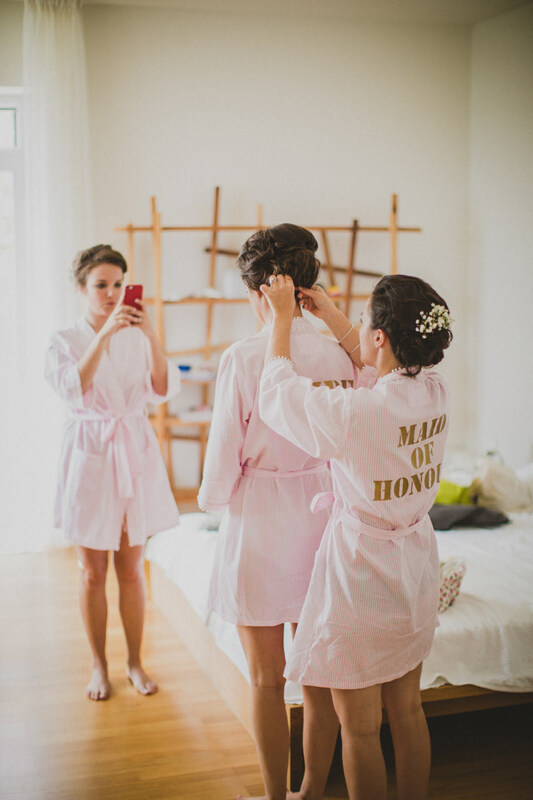 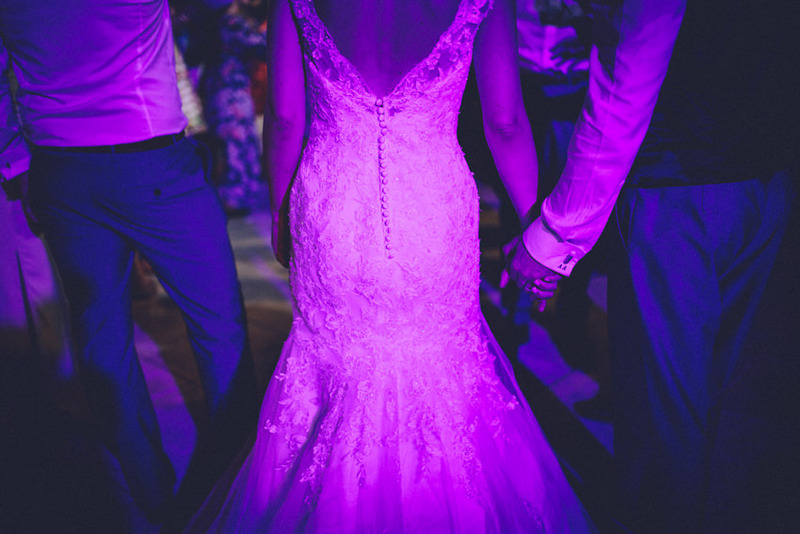 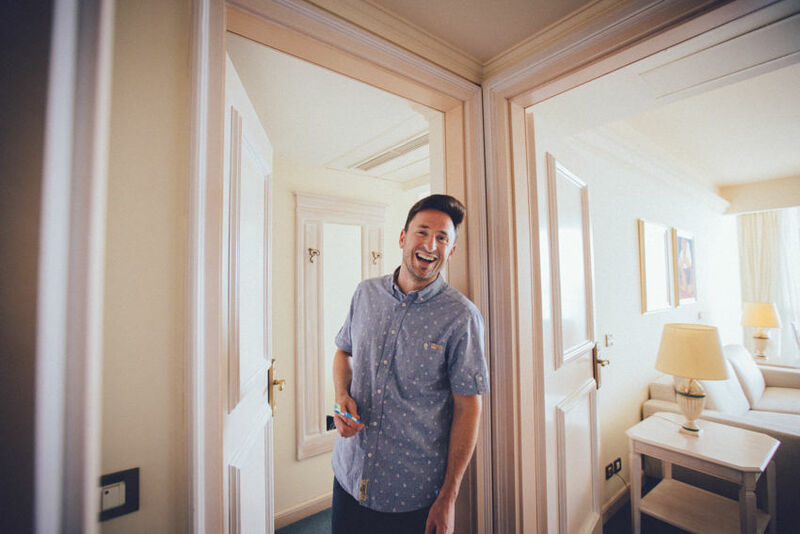 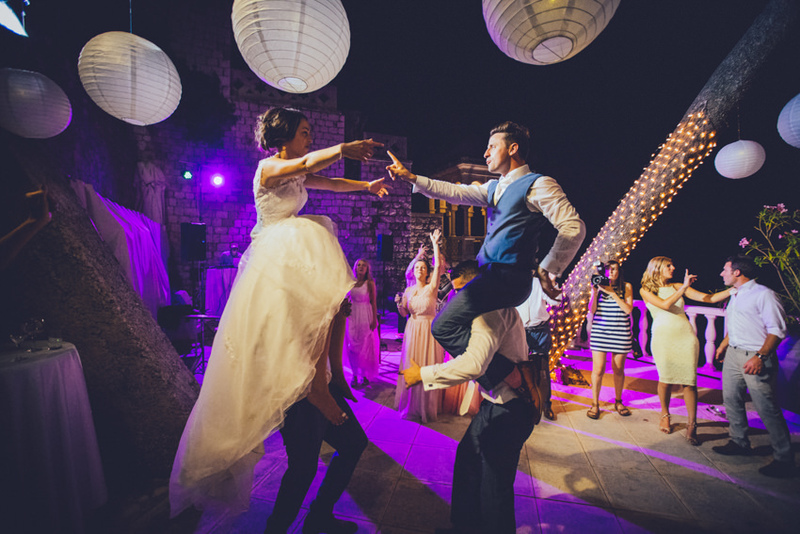 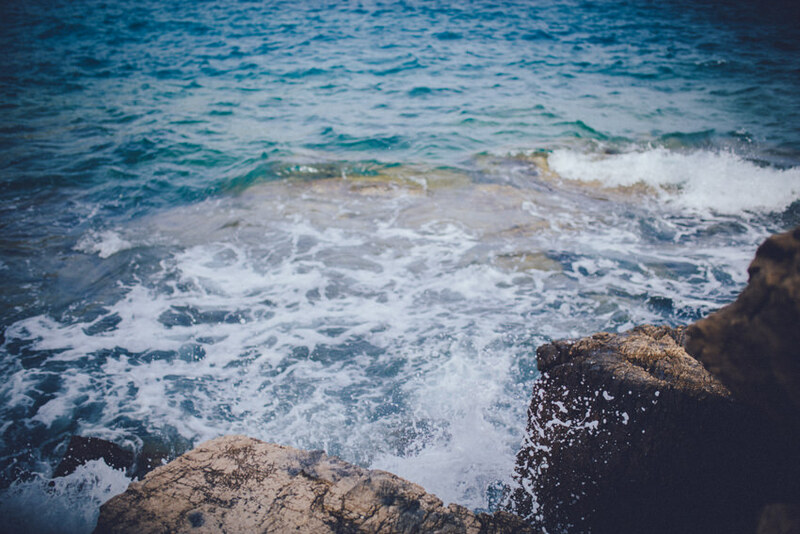 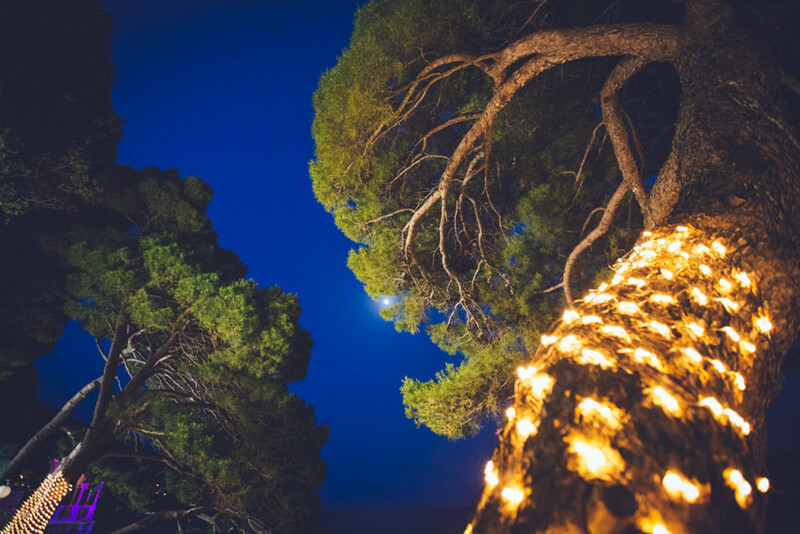 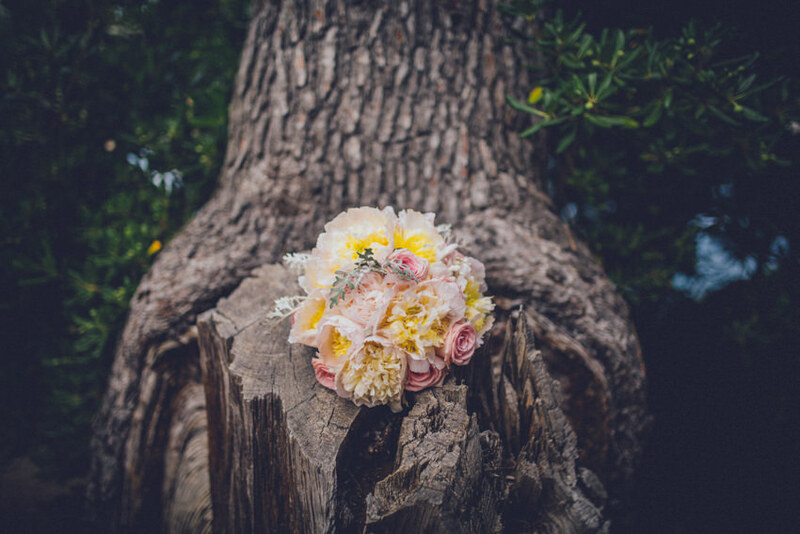 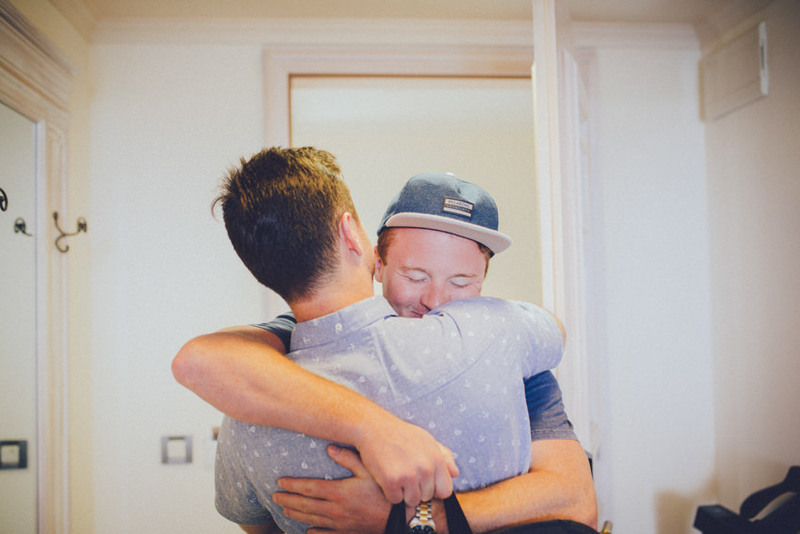 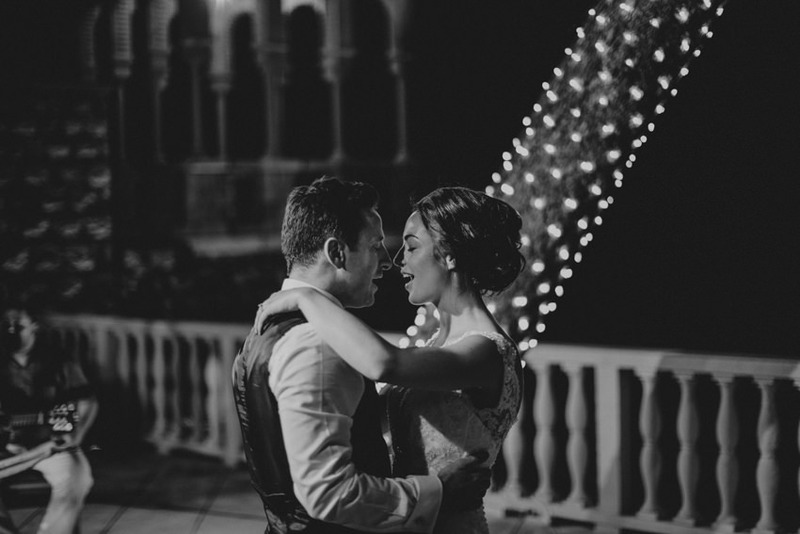 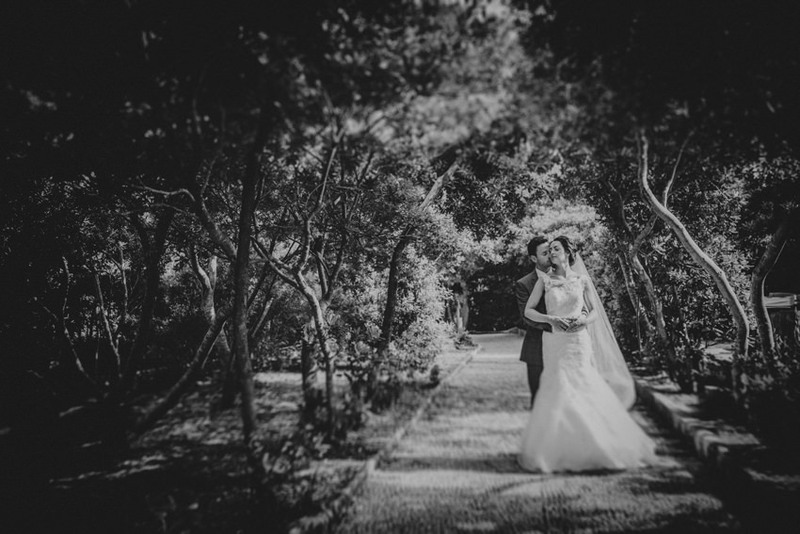 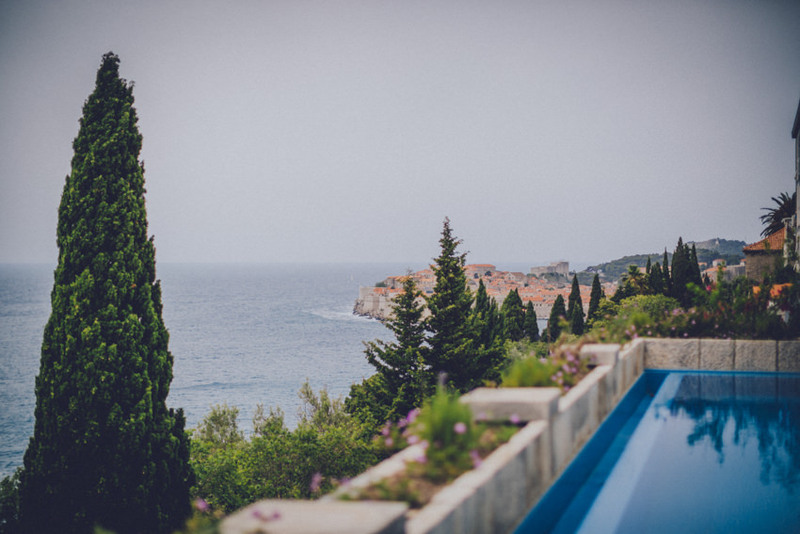 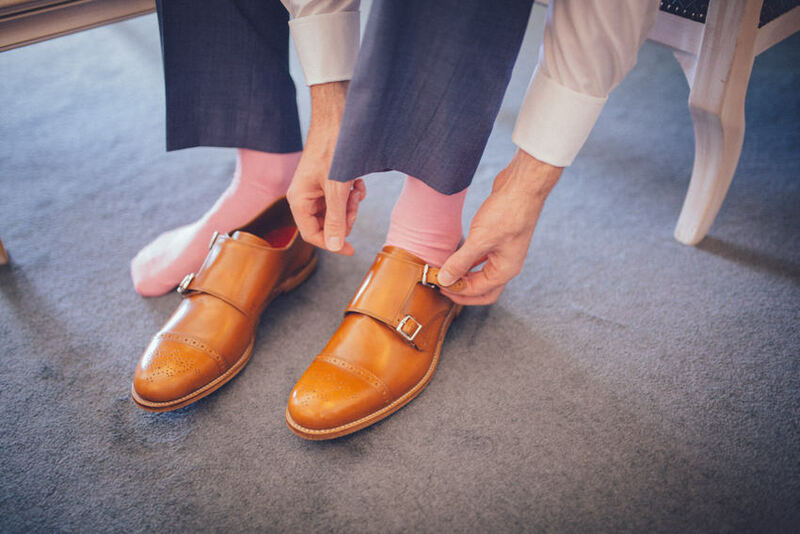 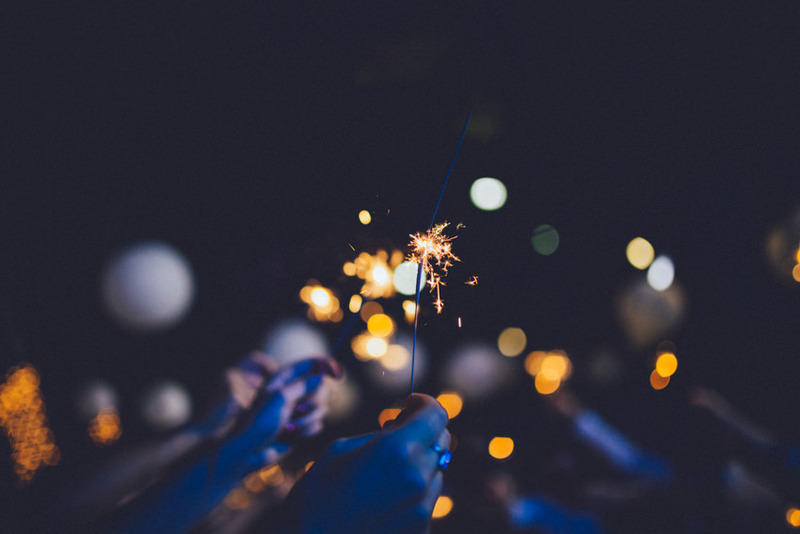 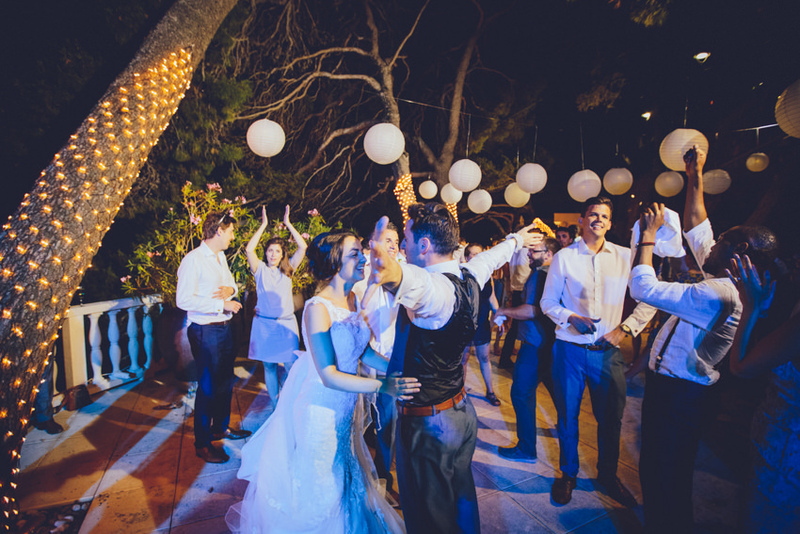 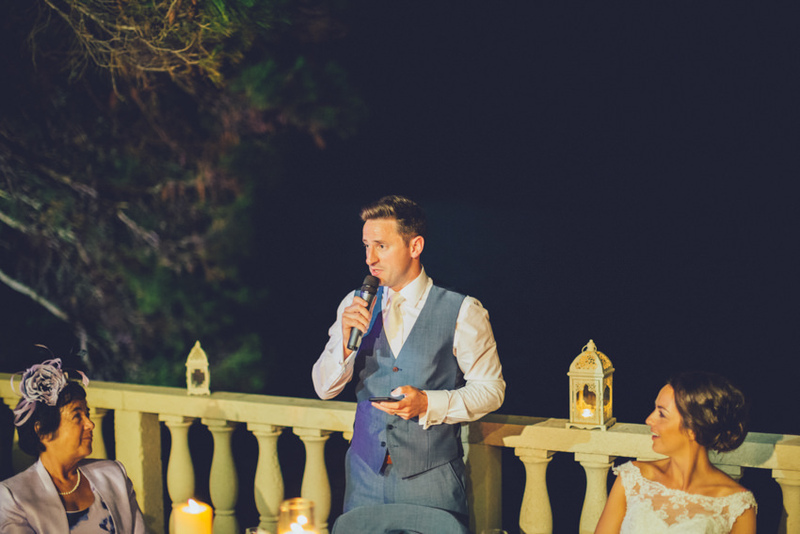 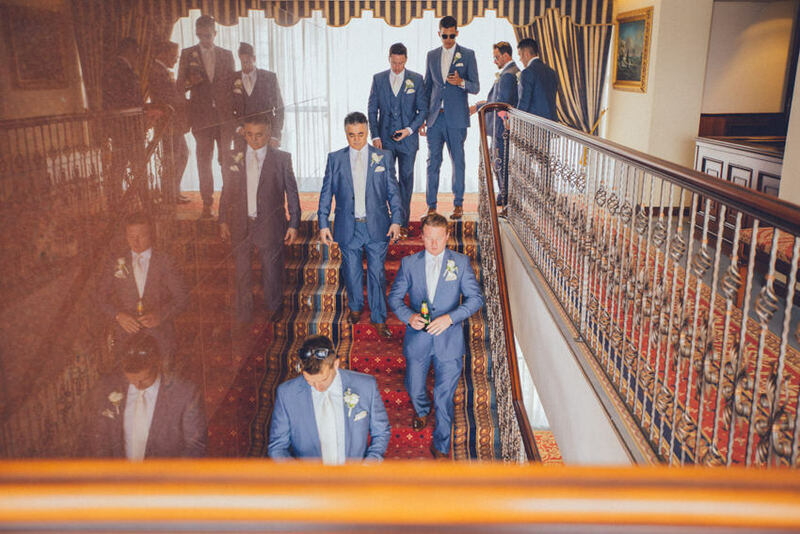 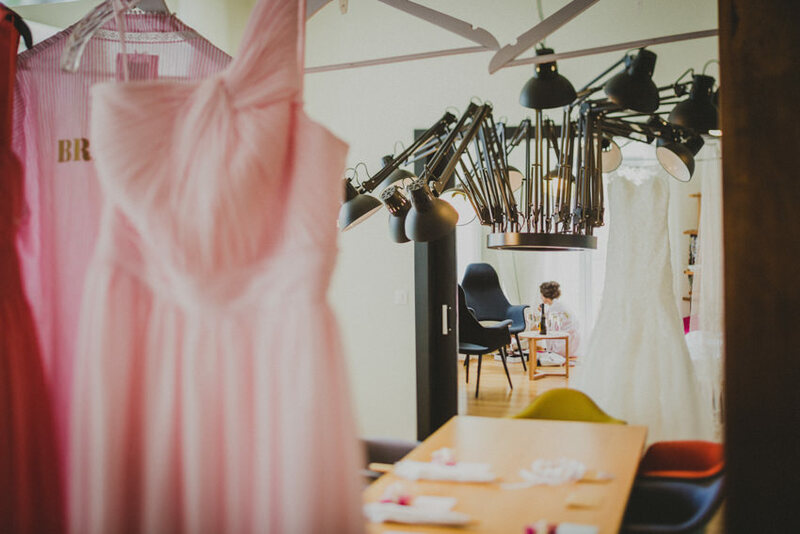 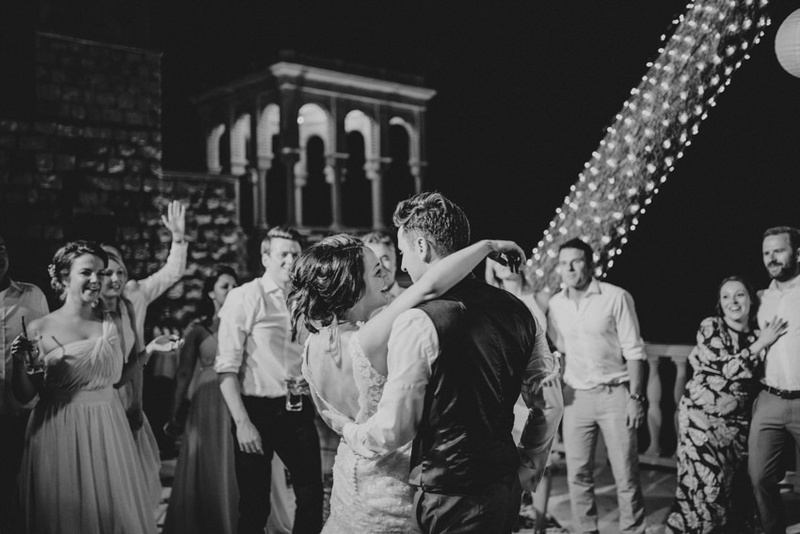 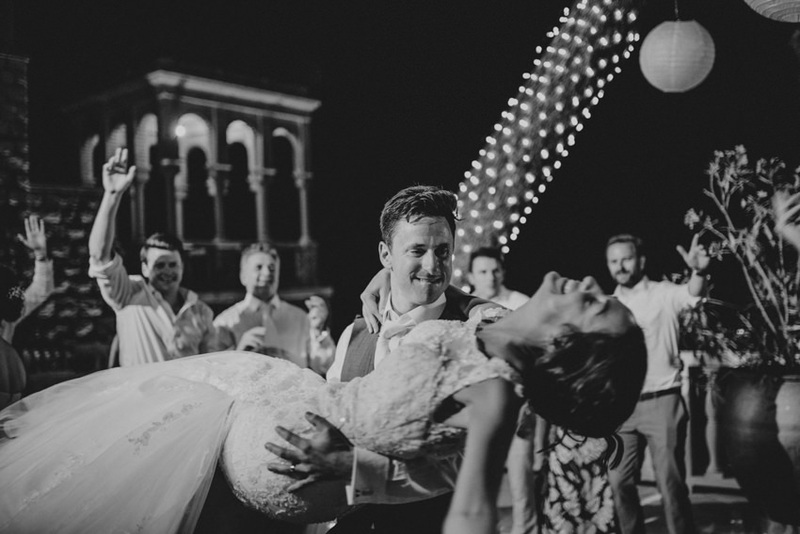 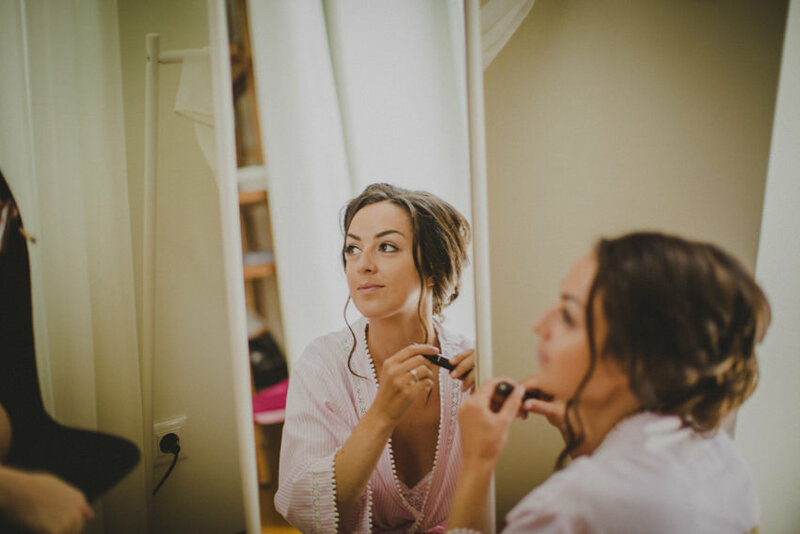 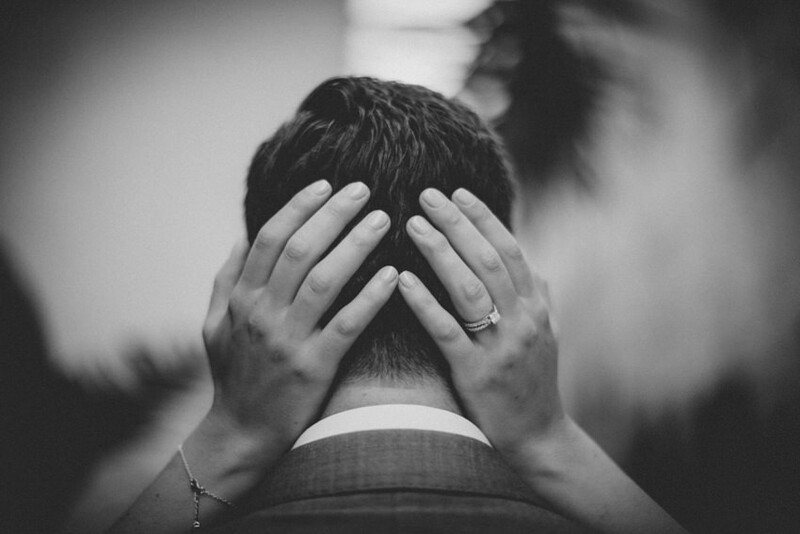 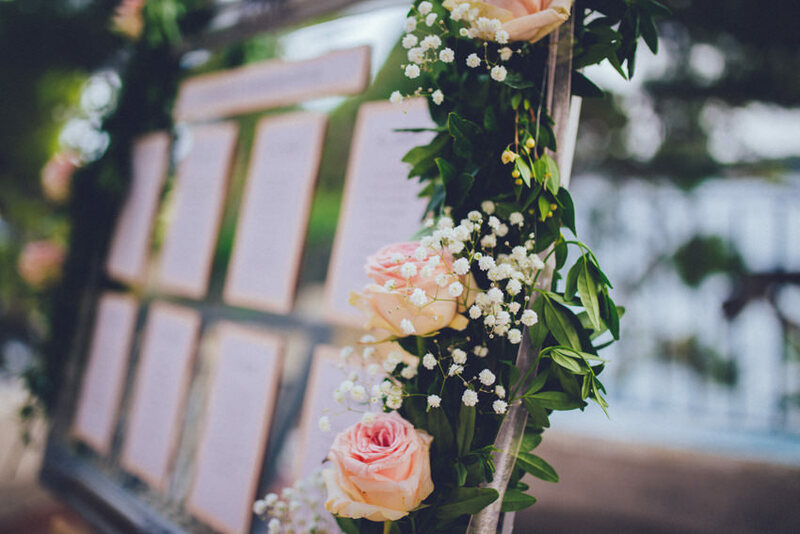 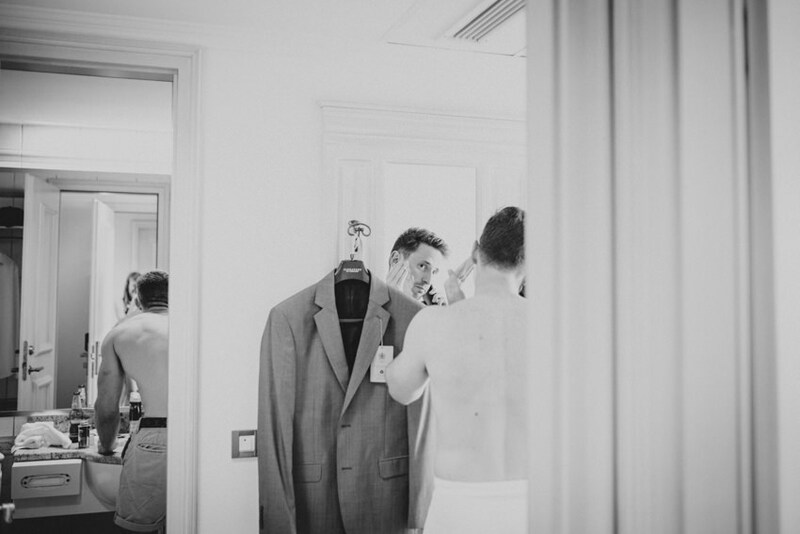 Take a look at this Lokrum island wedding, I promise it’s worth it!